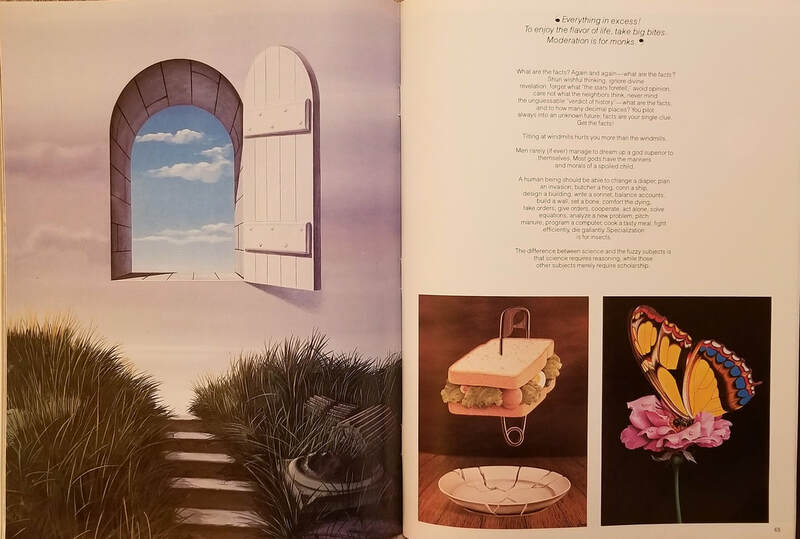 This page is another that is something of a mixed bag, for “later” is, I’m afraid, somewhere between slippery and ever so slightly a misnomer. 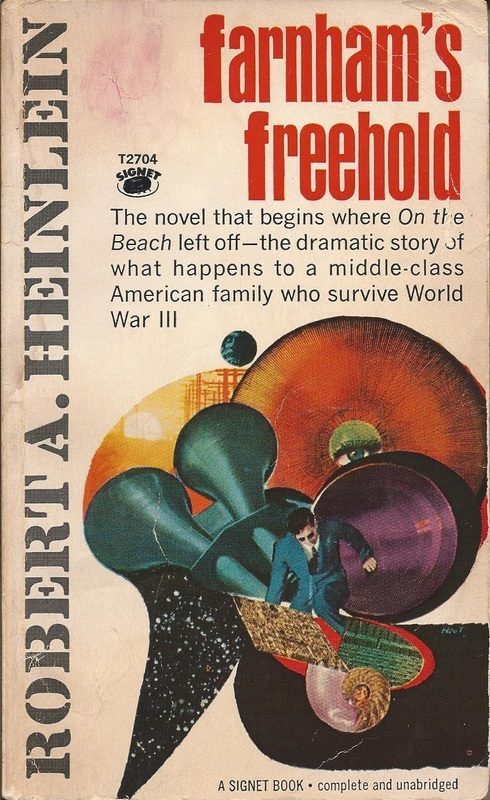 Now, the fiction here is all from 1961 and following, so at least that’s clear. 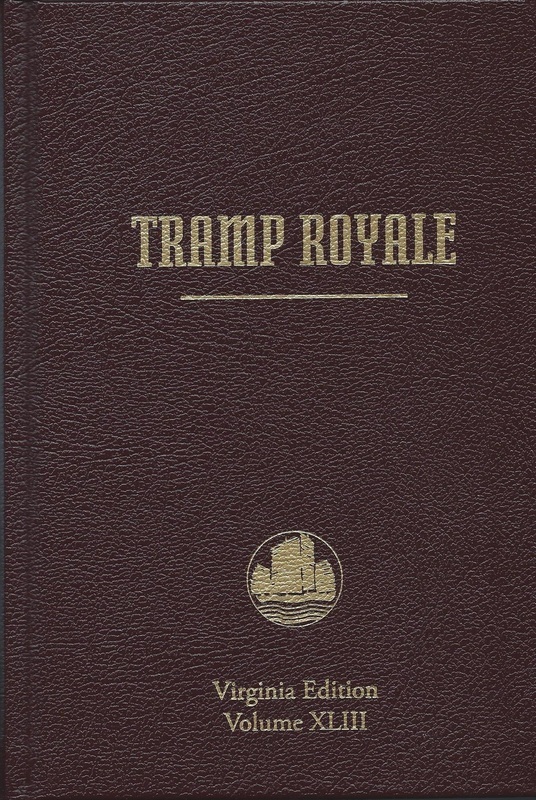 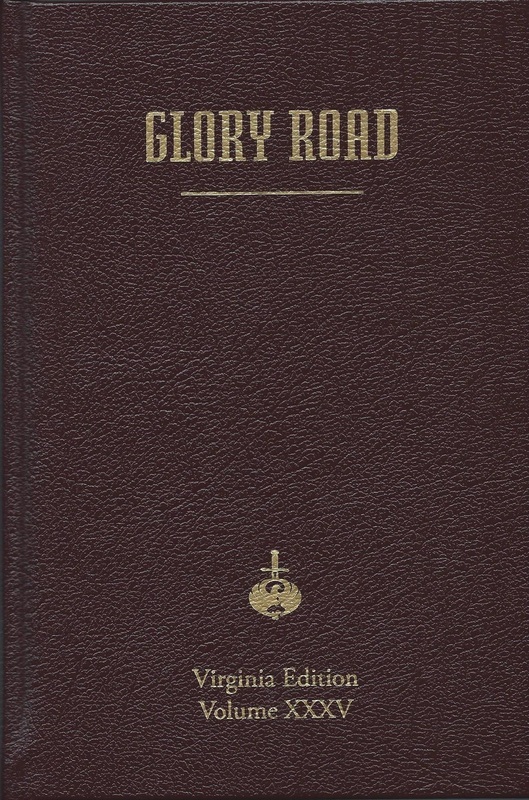 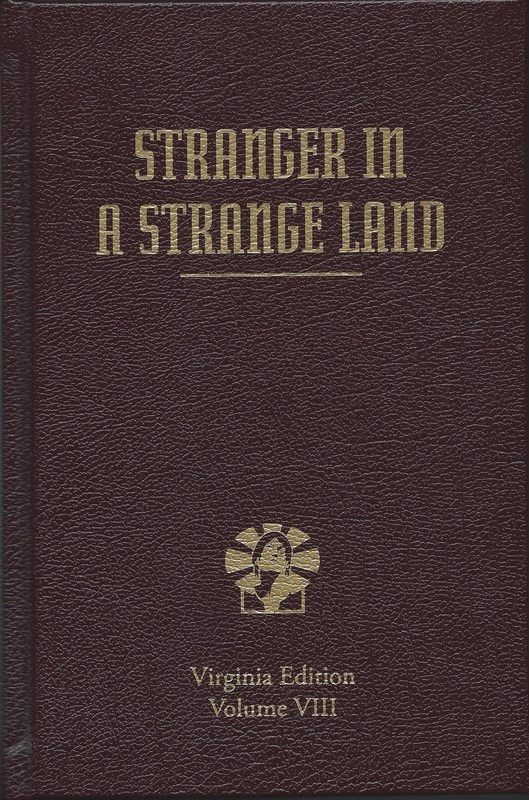 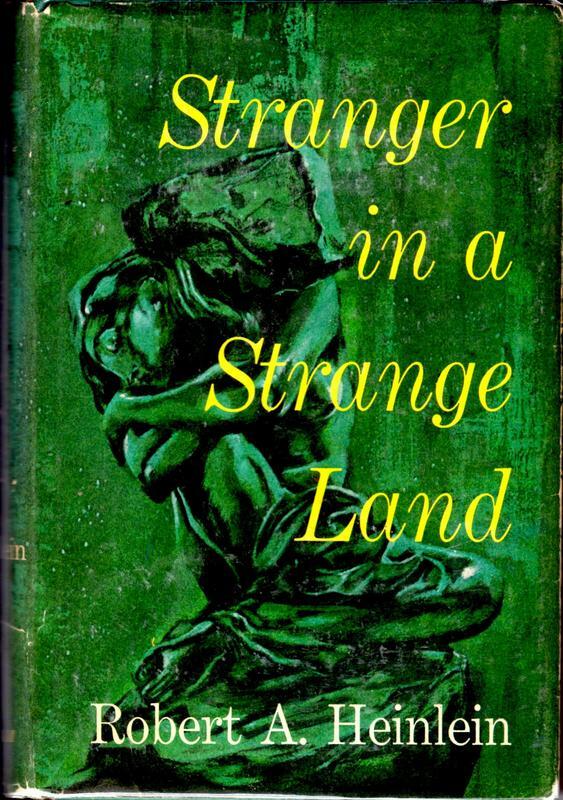 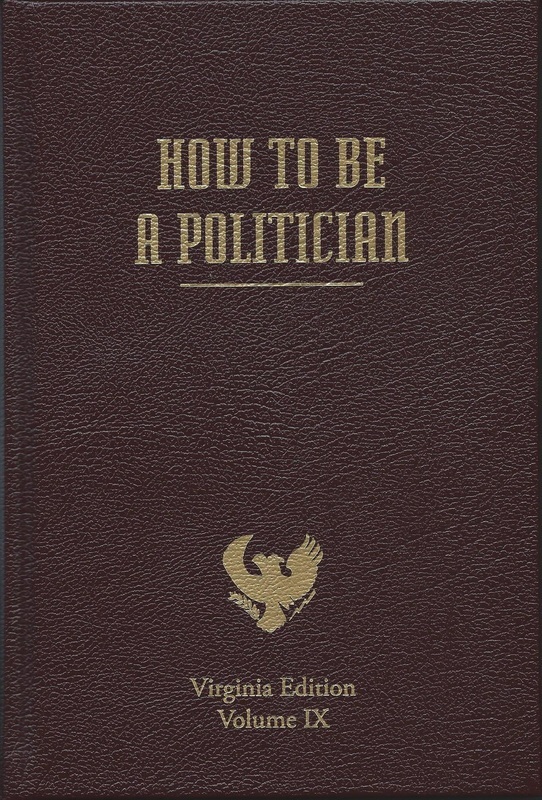 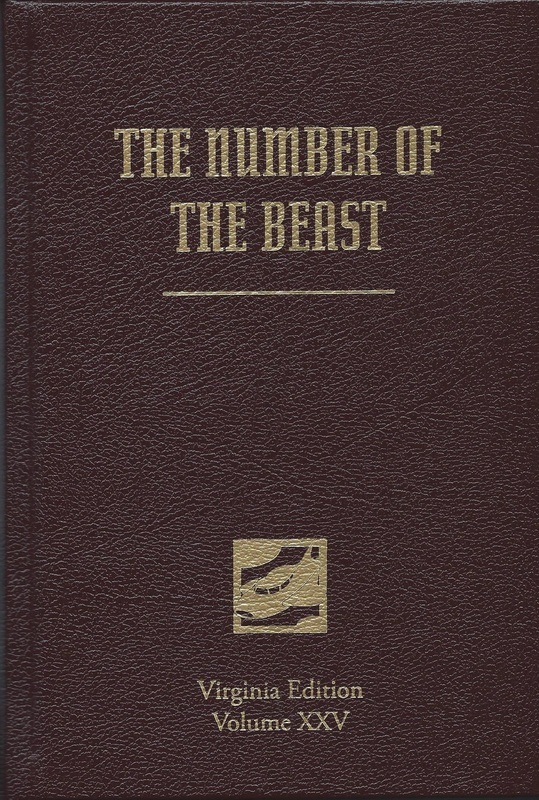 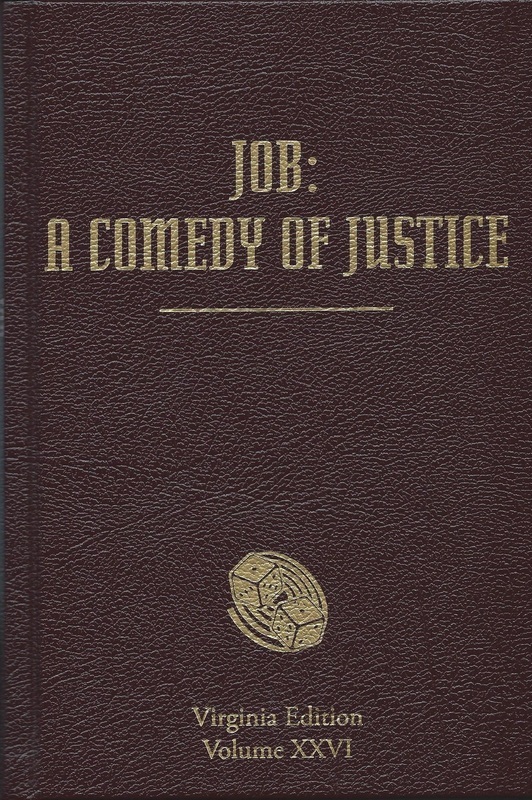 Things like “How to Be a Politician,” Tramp Royale, much of the nonfiction collected in the Virginia Edition, and his essay on the nature of science fiction, however, certainly predate Stranger...but at least we could say, with a shrug, that they’re later than the 1940s pulps. 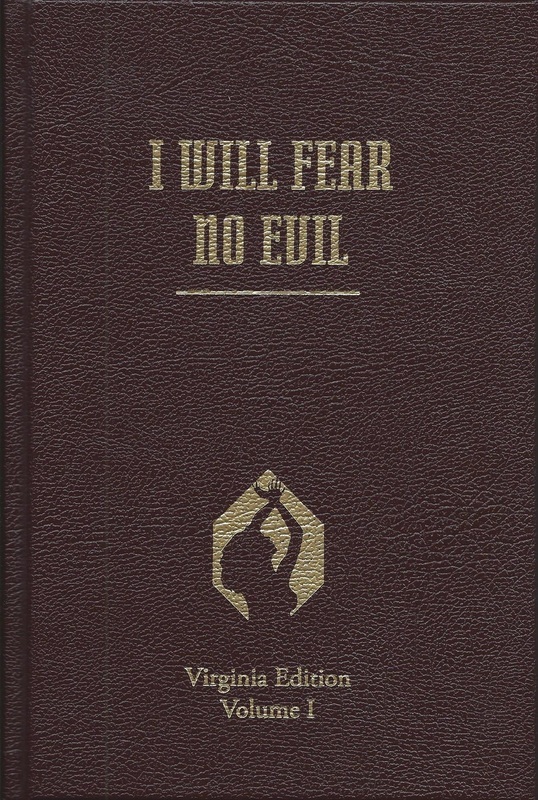 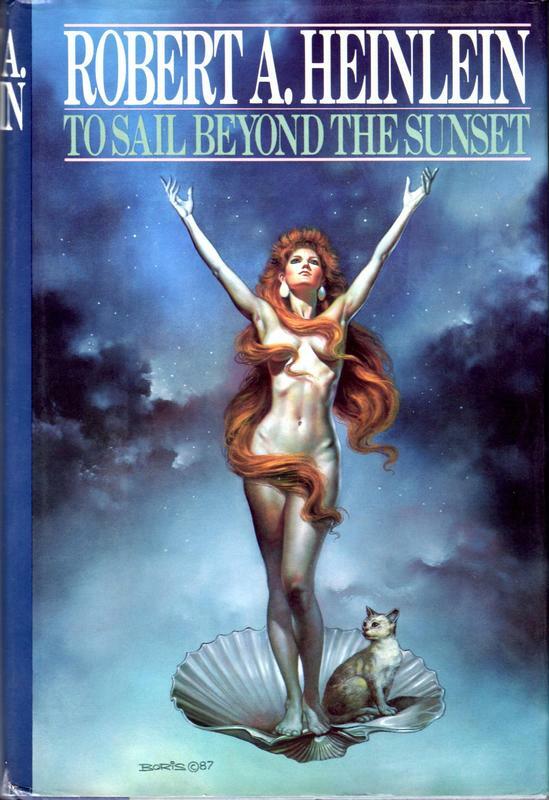 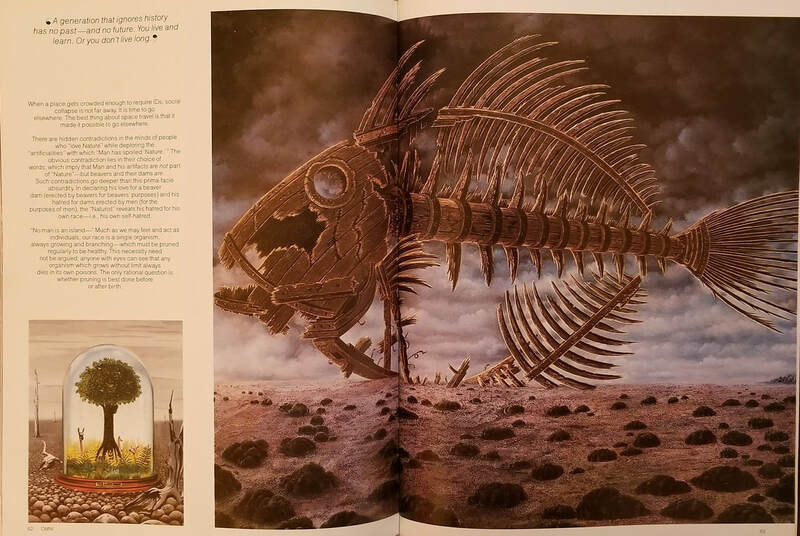 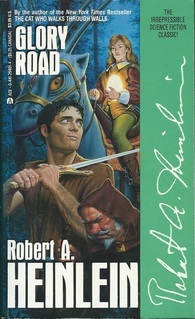 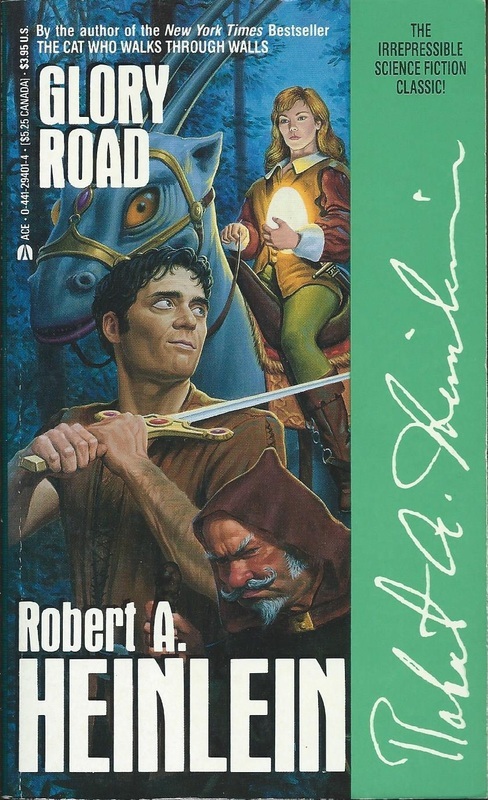 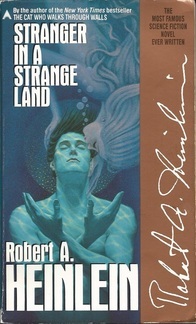 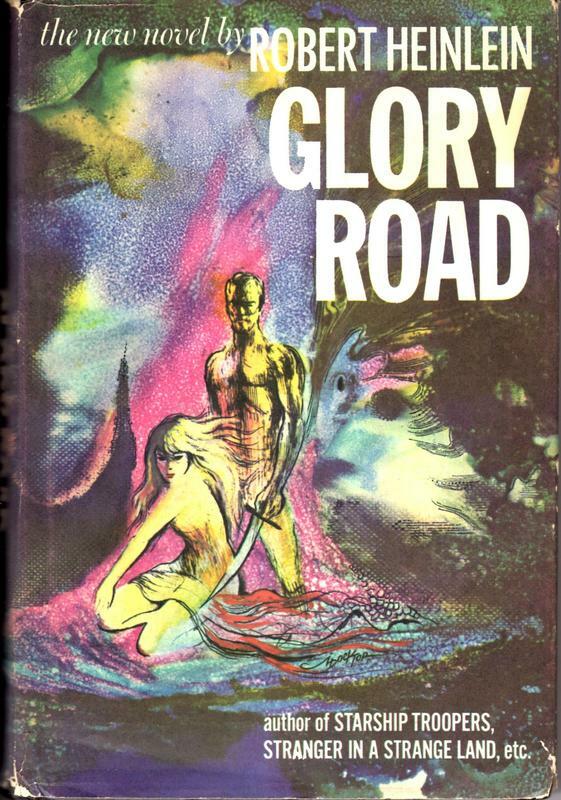 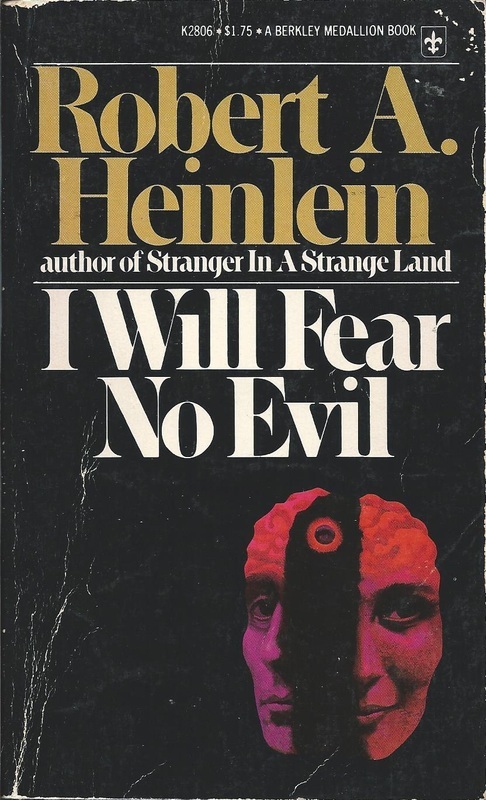 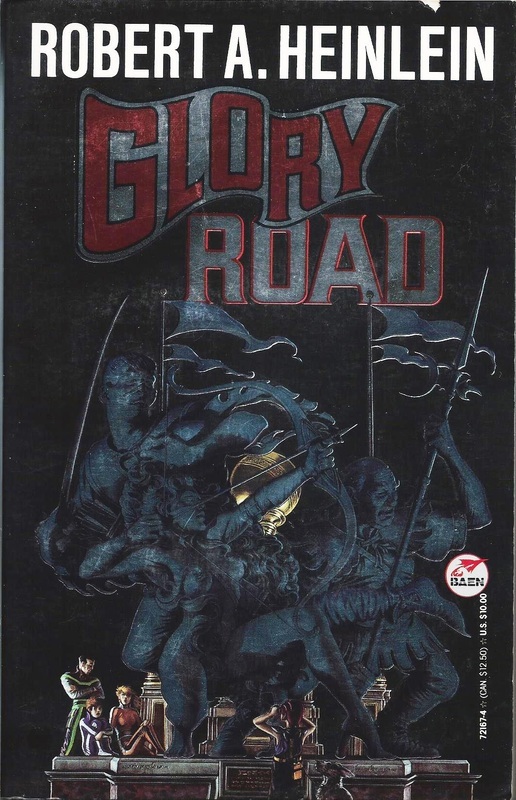 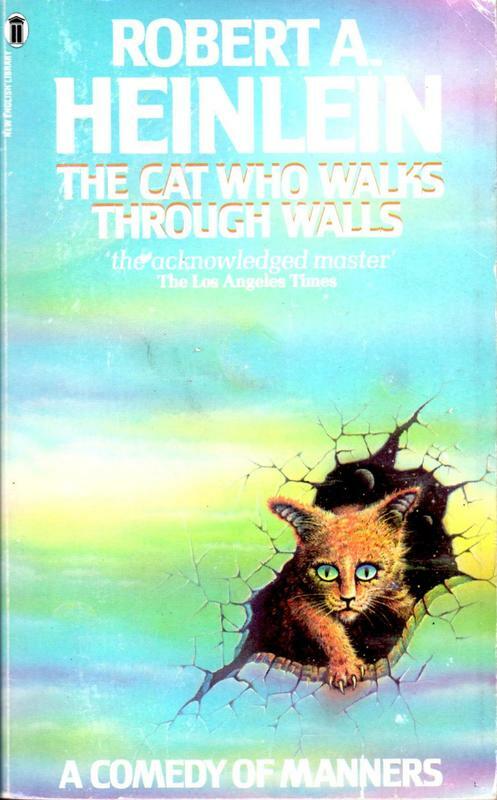 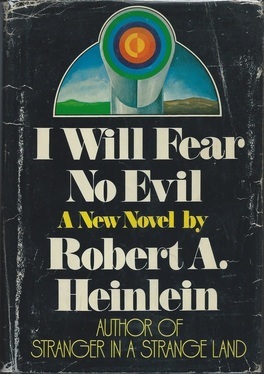 Cover art uncredited...but it rather reminds me of James Warhola (See I Will Fear No Evil below). 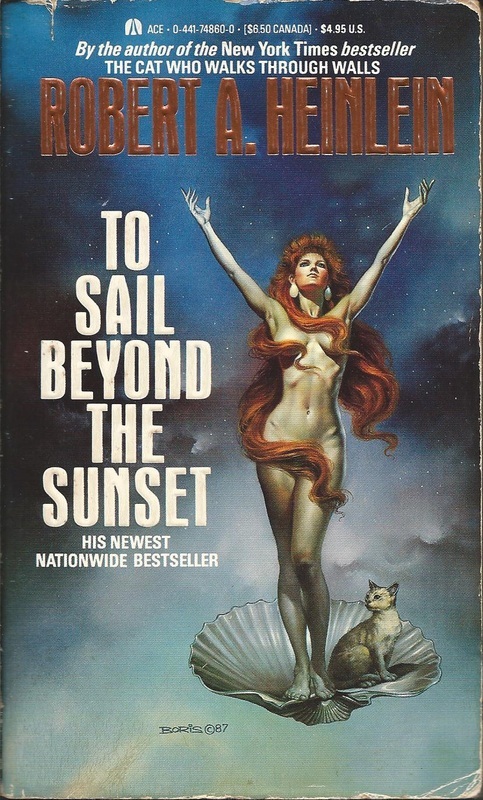 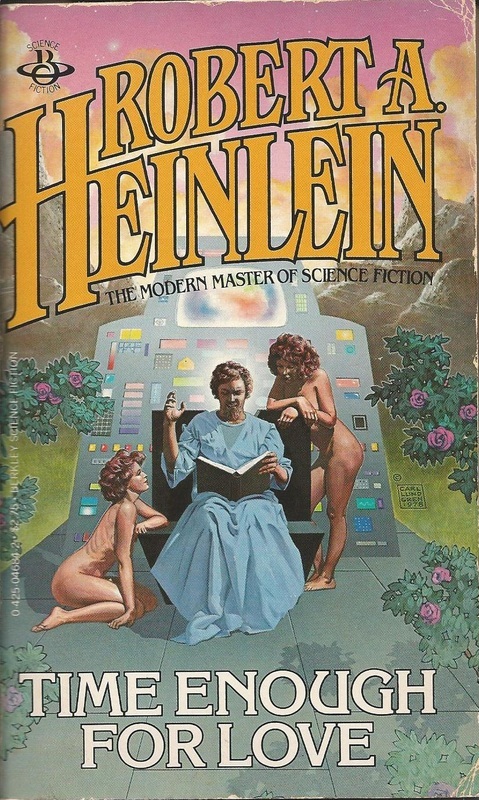 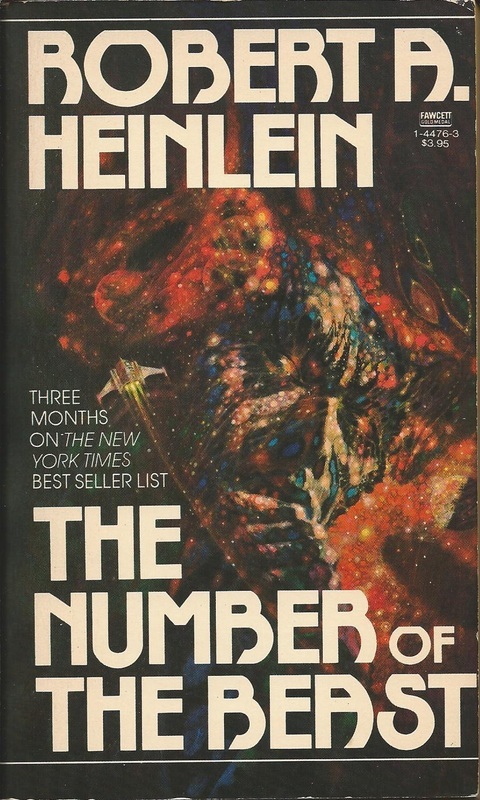 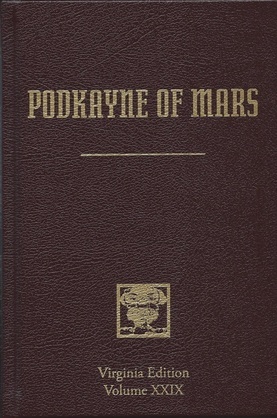 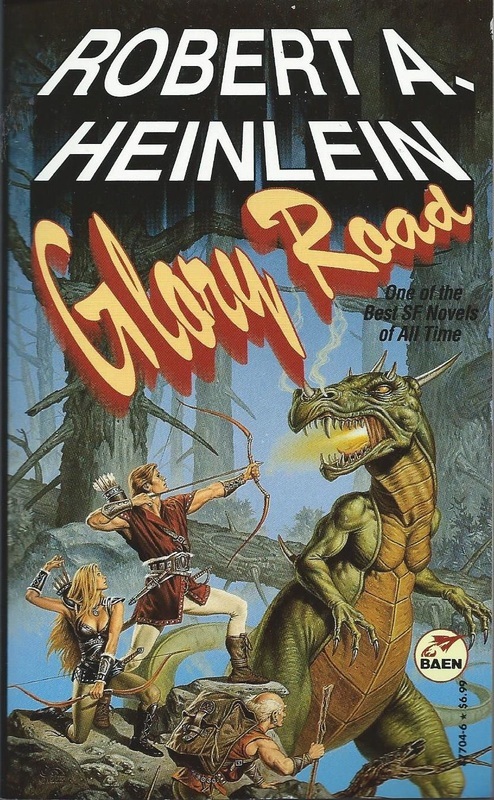 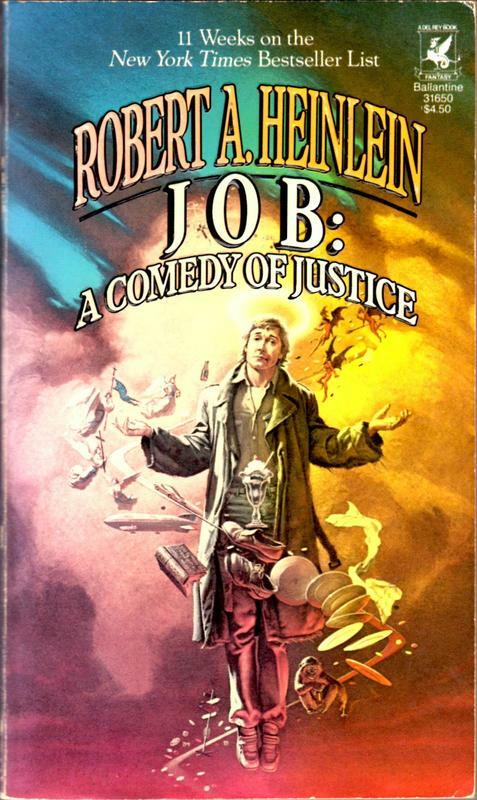 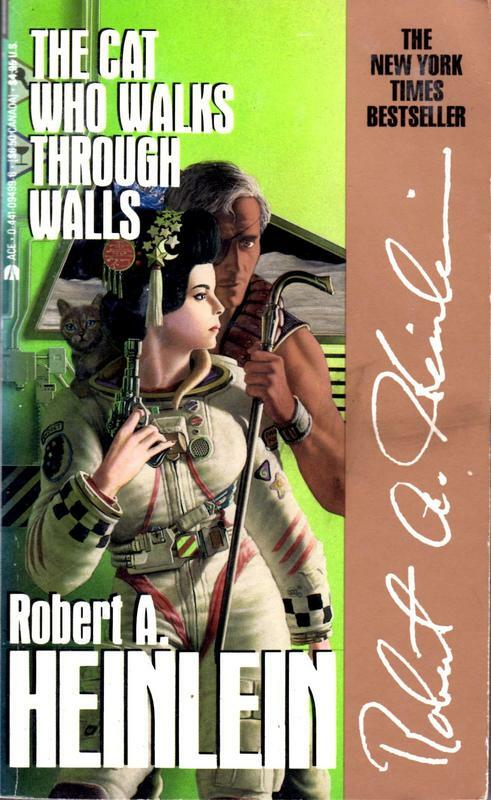 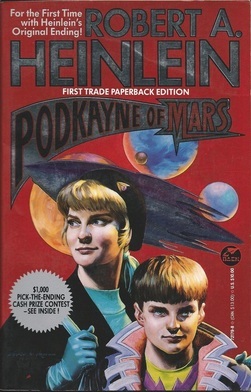 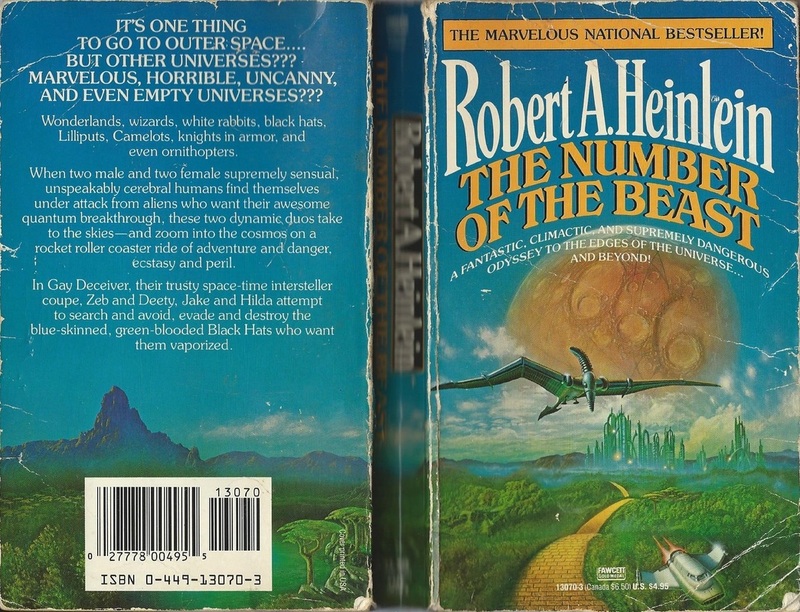 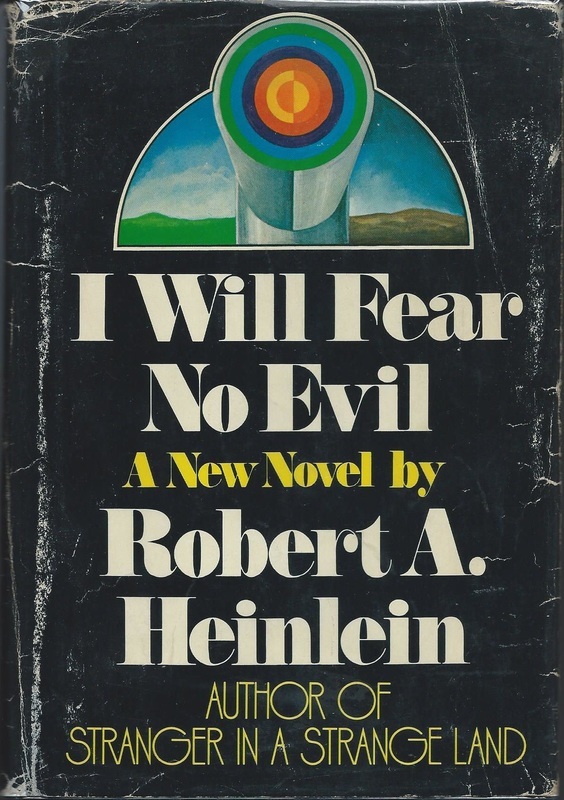 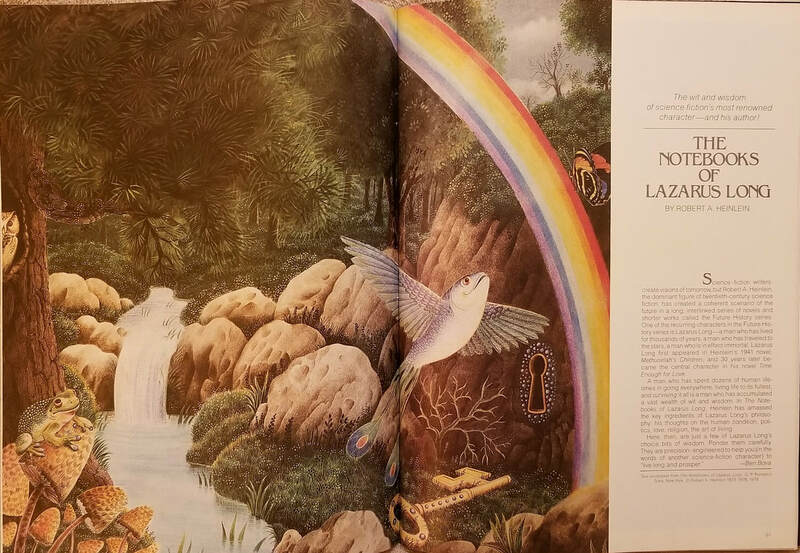 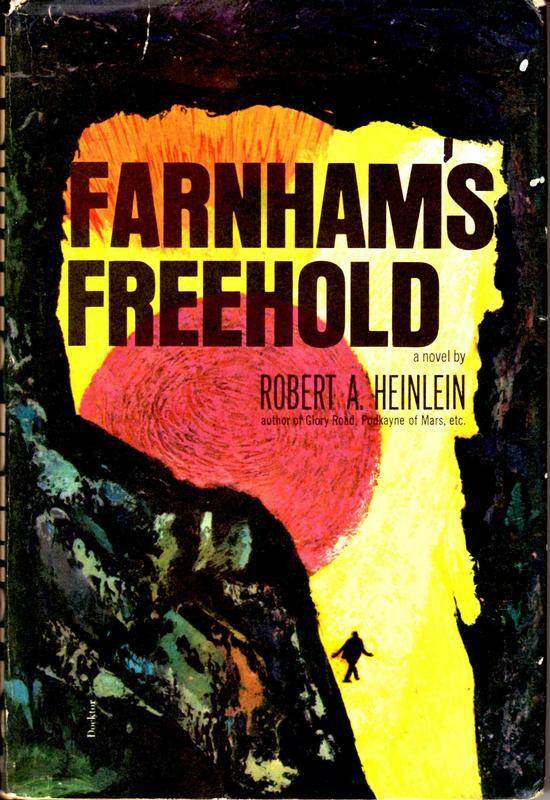 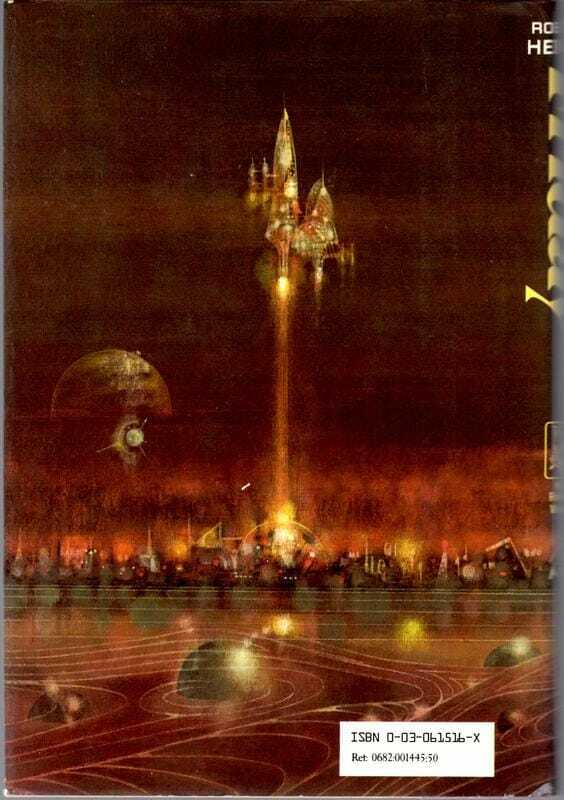 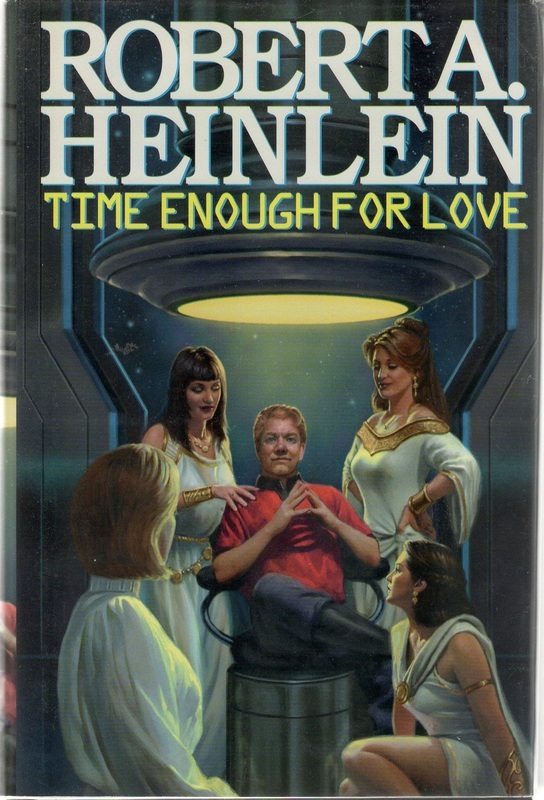 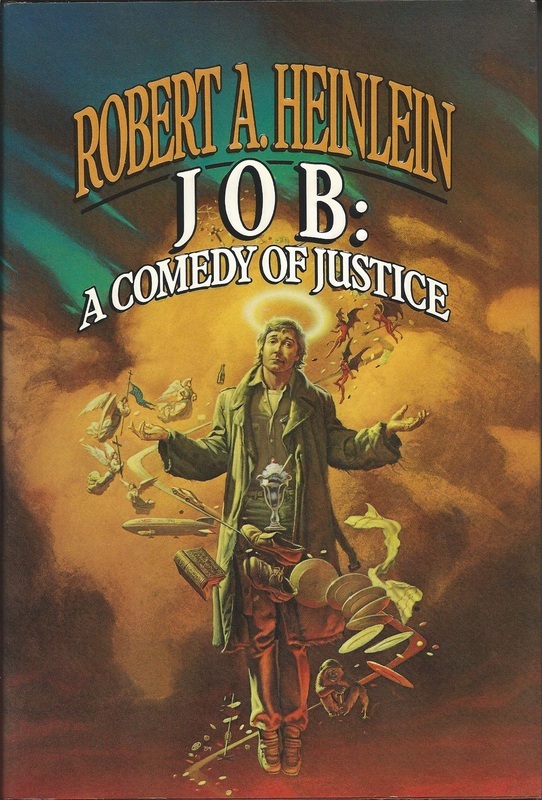 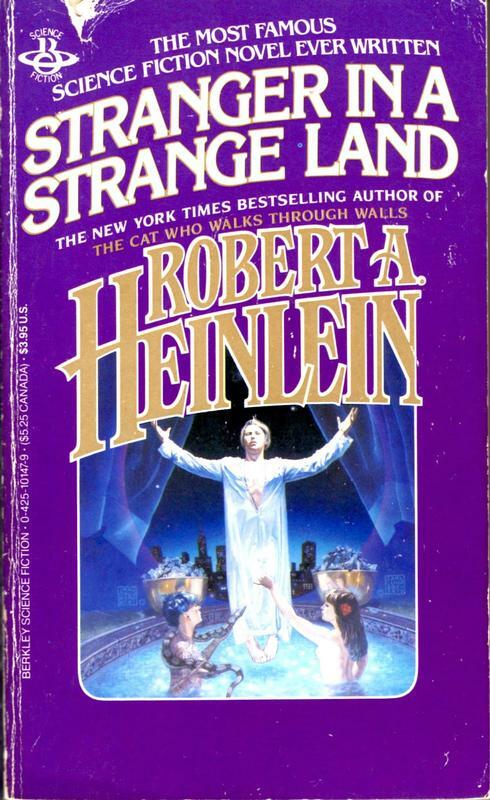 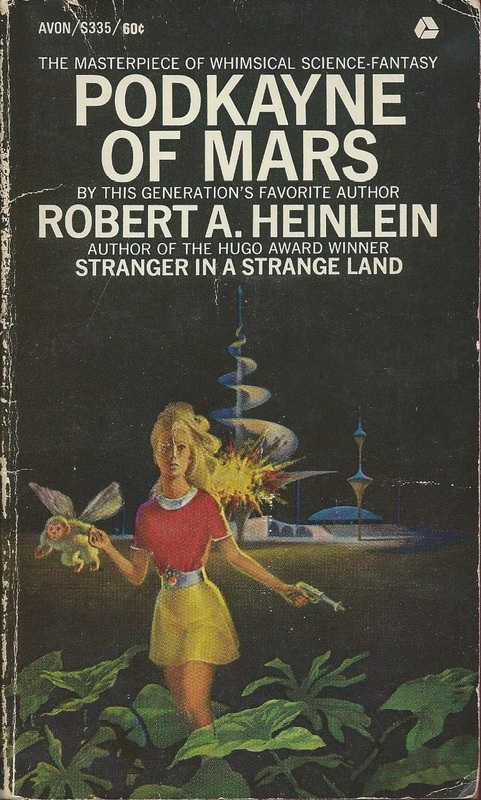 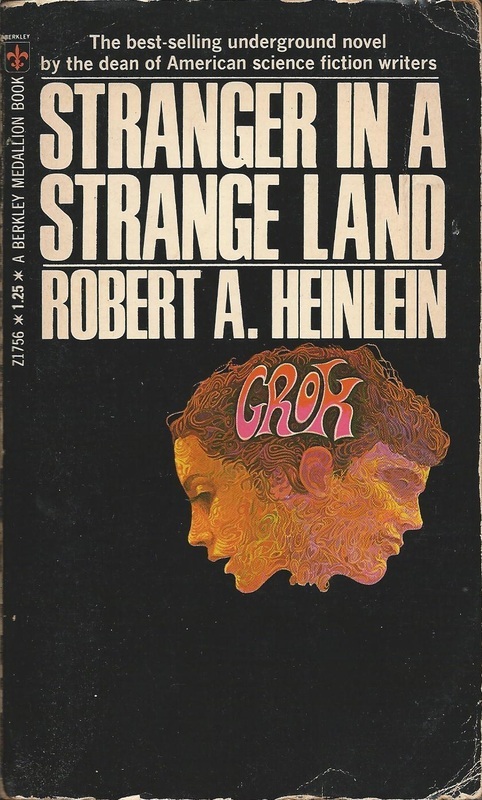 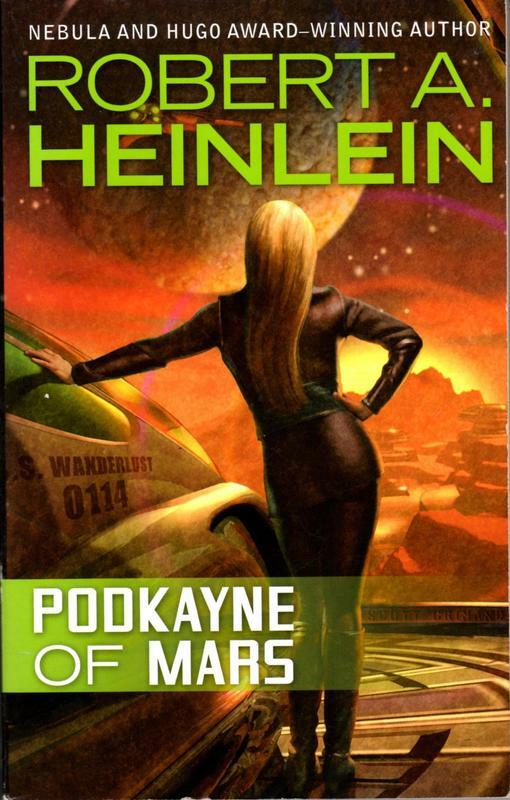 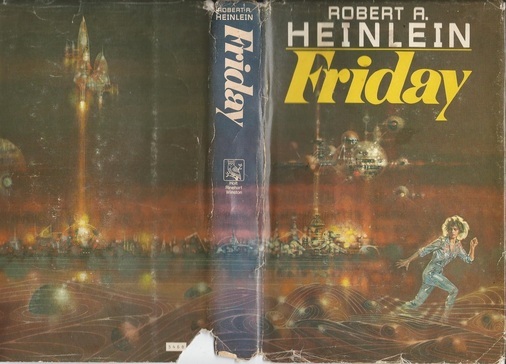 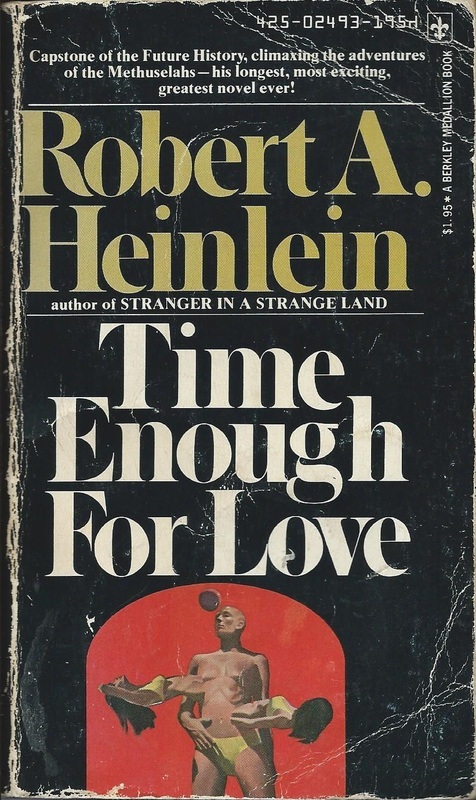 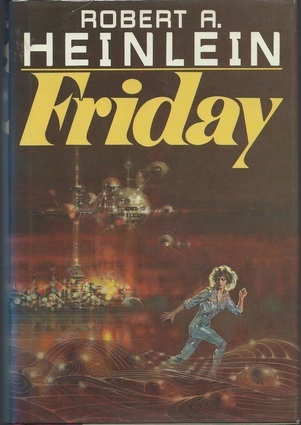 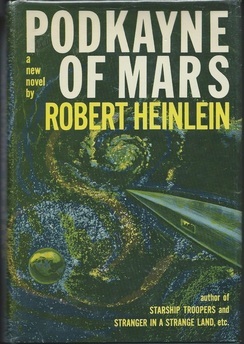 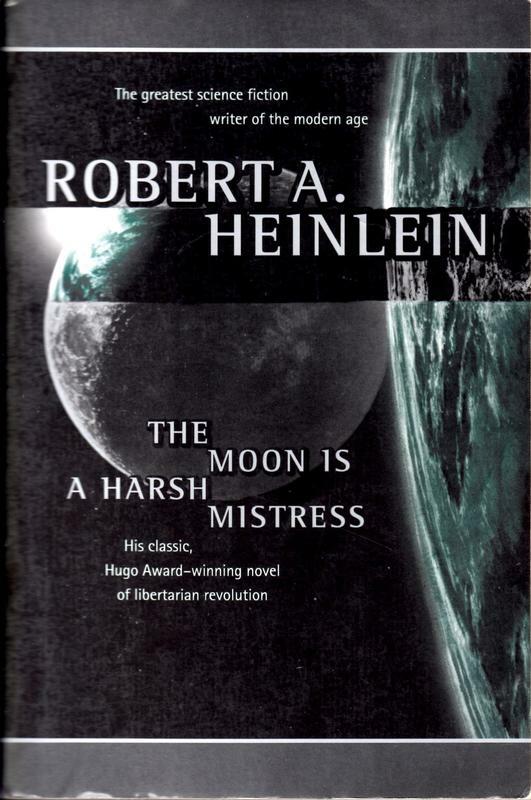 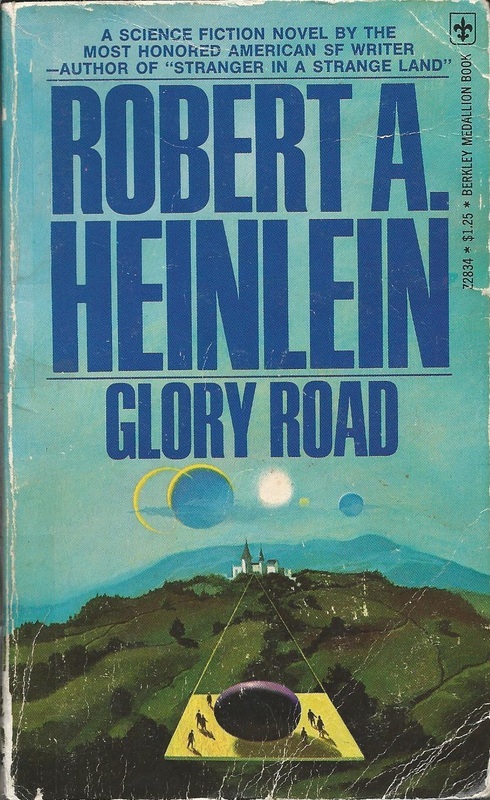 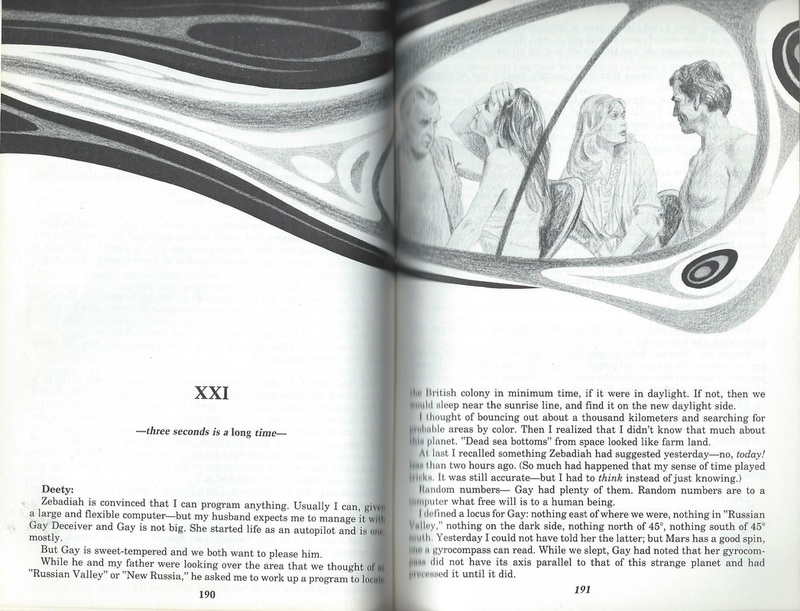 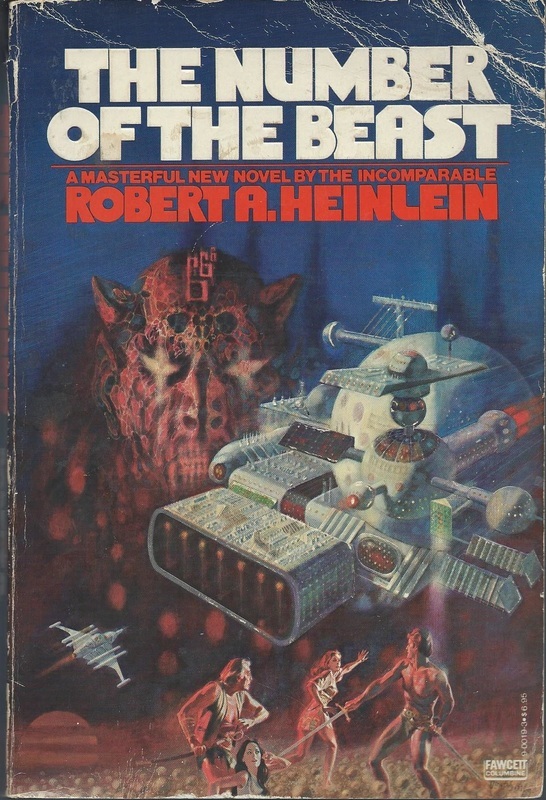 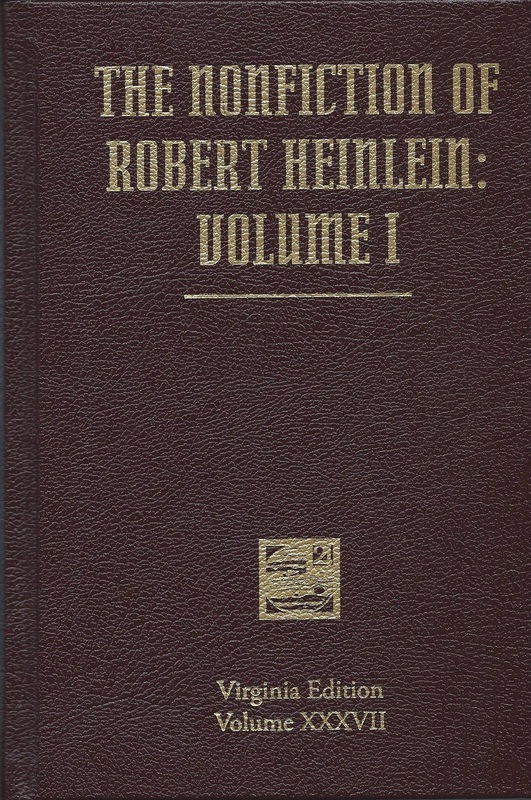 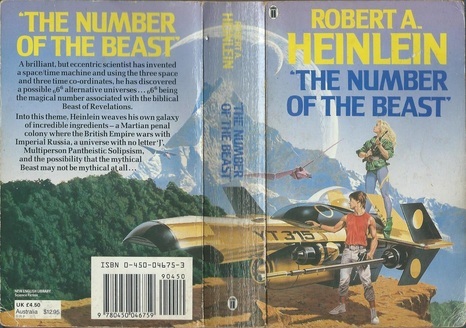 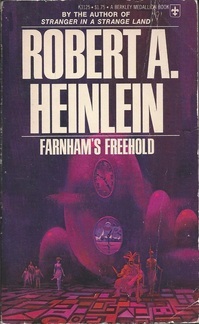 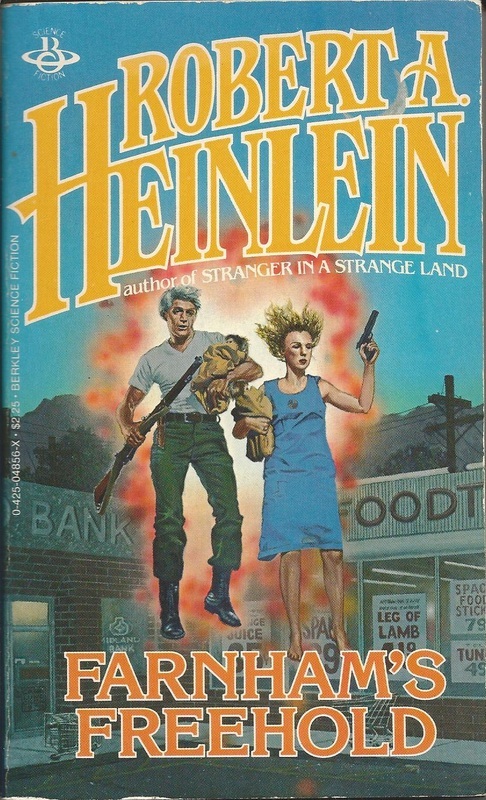 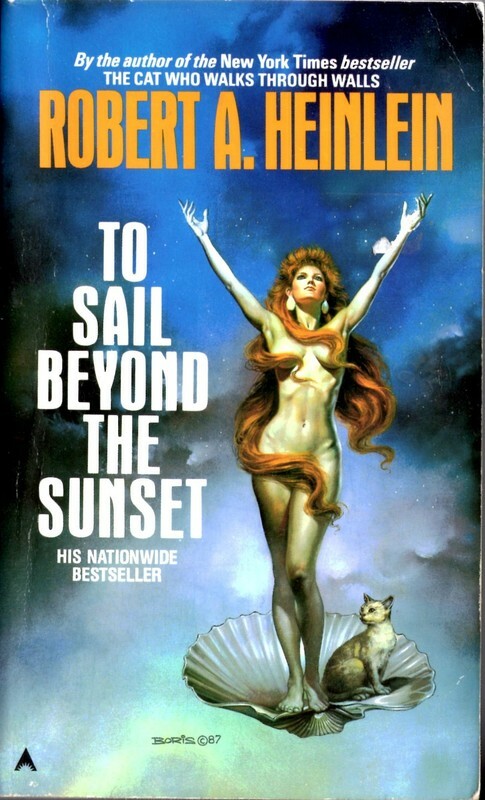 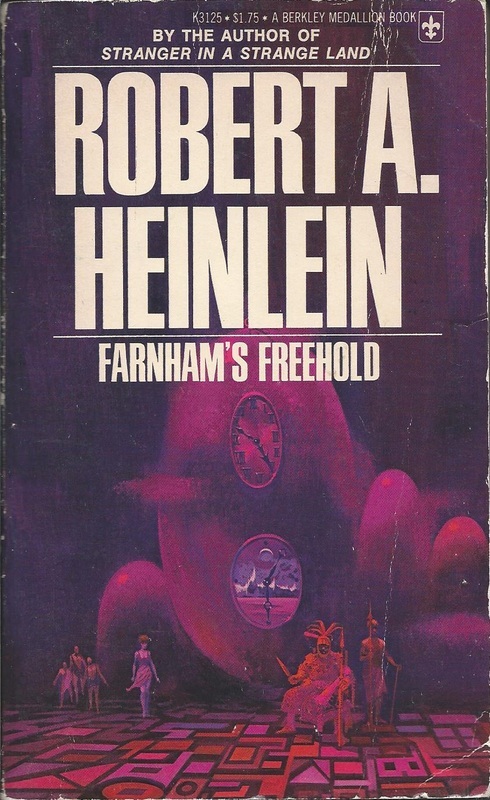 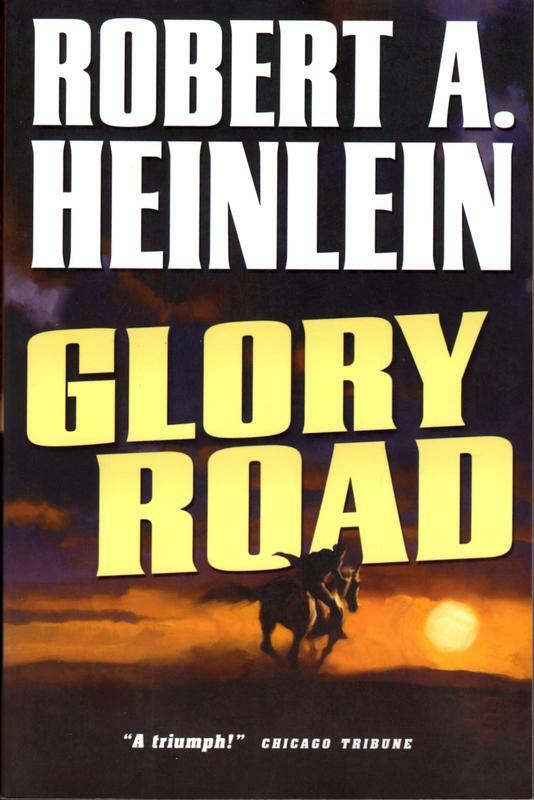 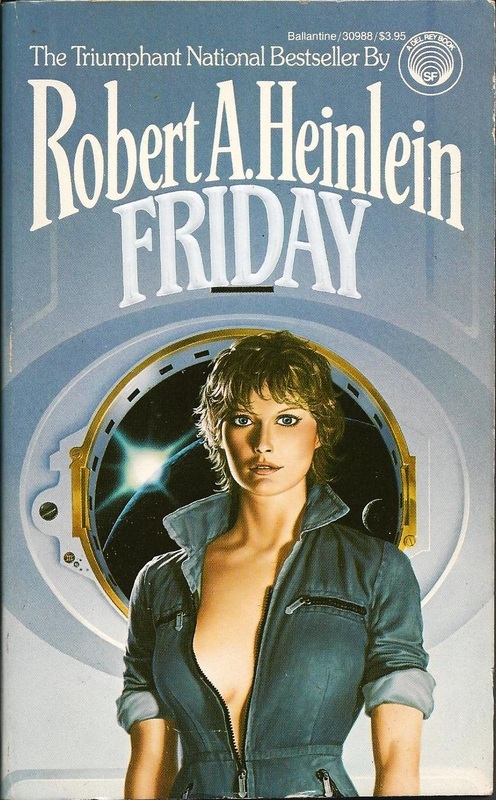 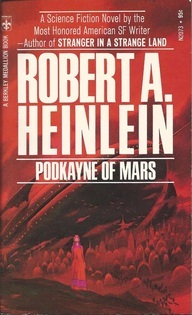 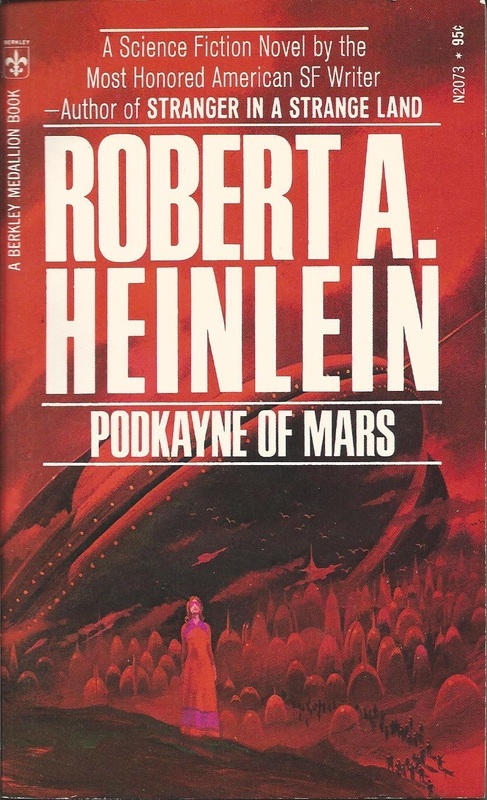 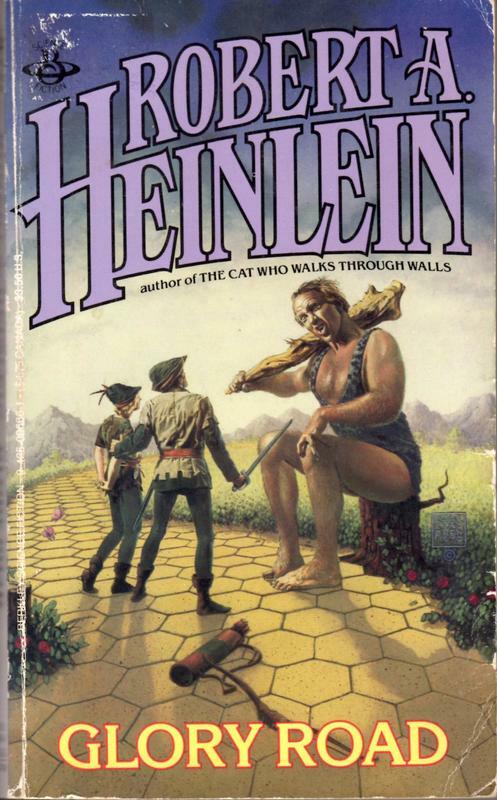 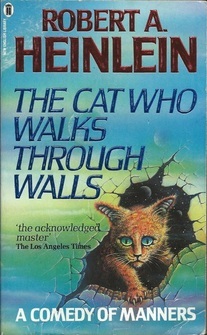 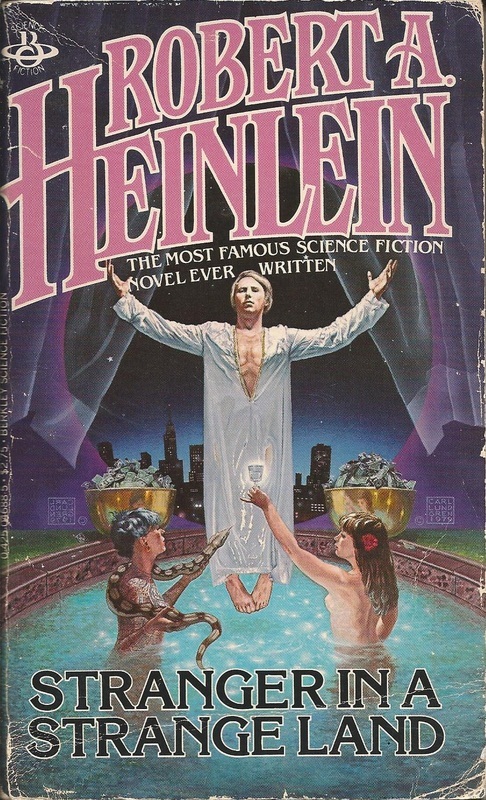 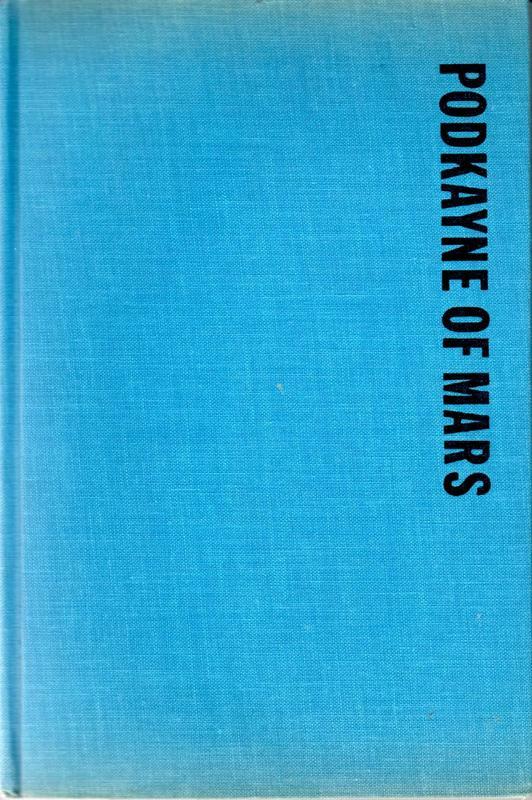 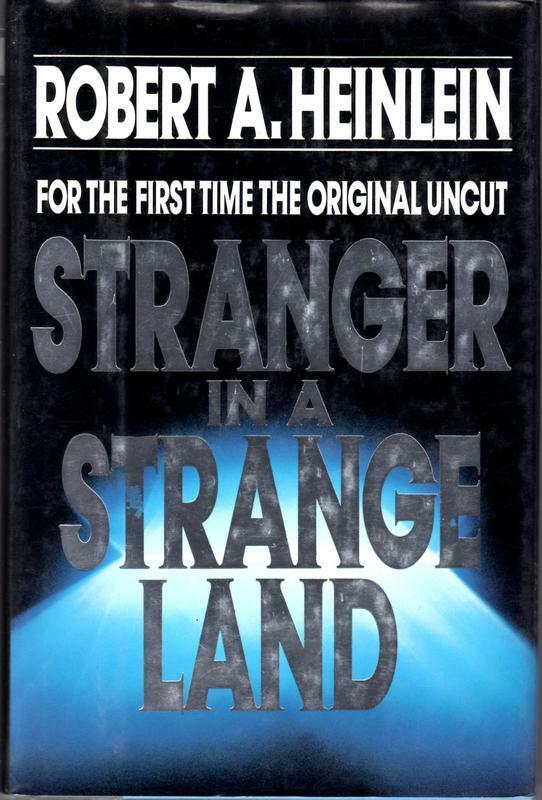 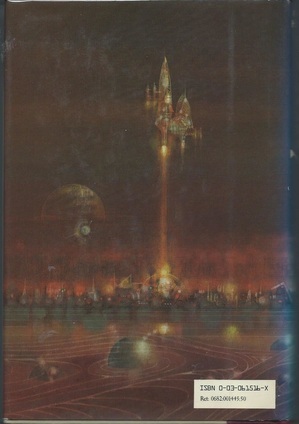 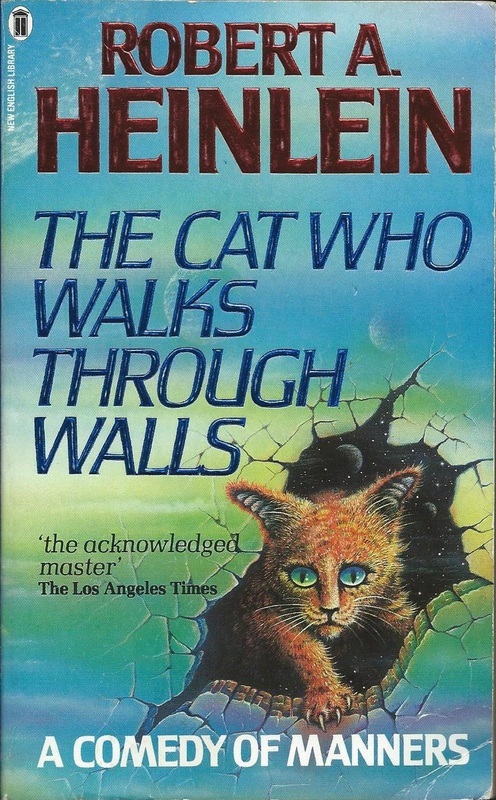 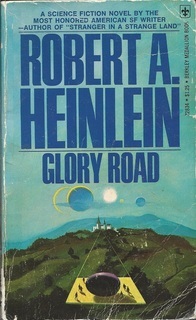 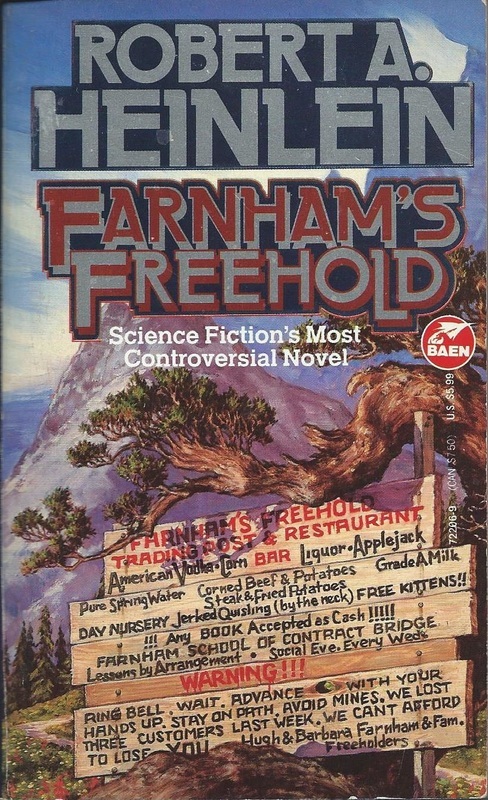 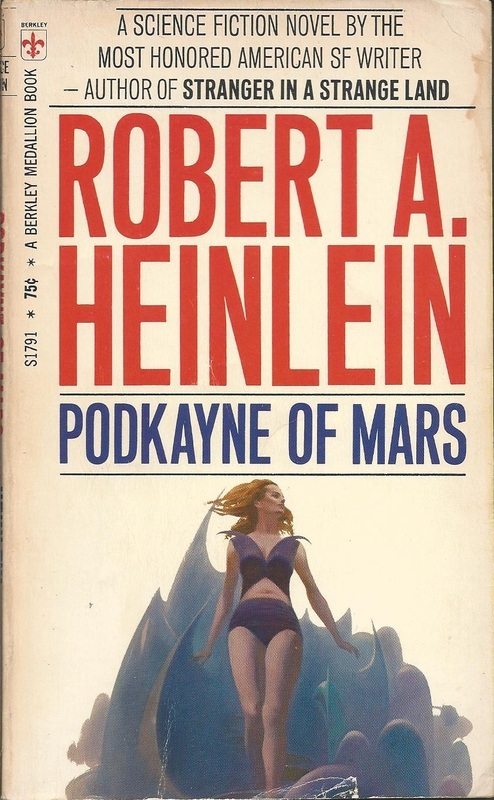 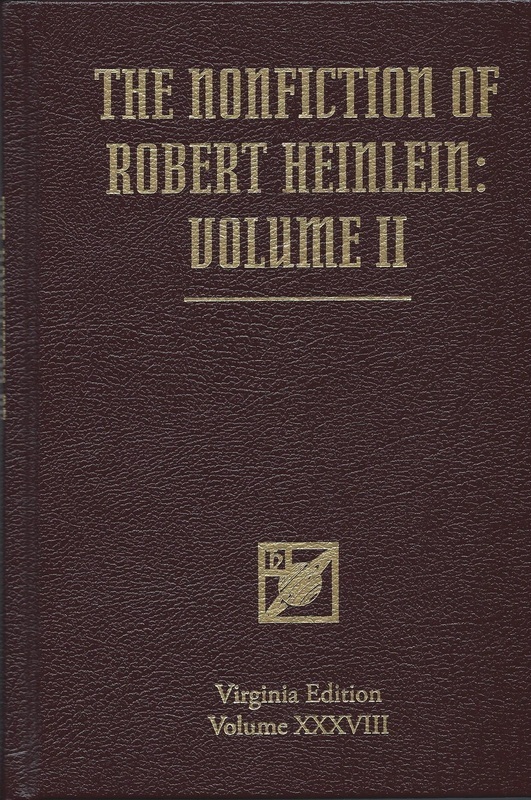 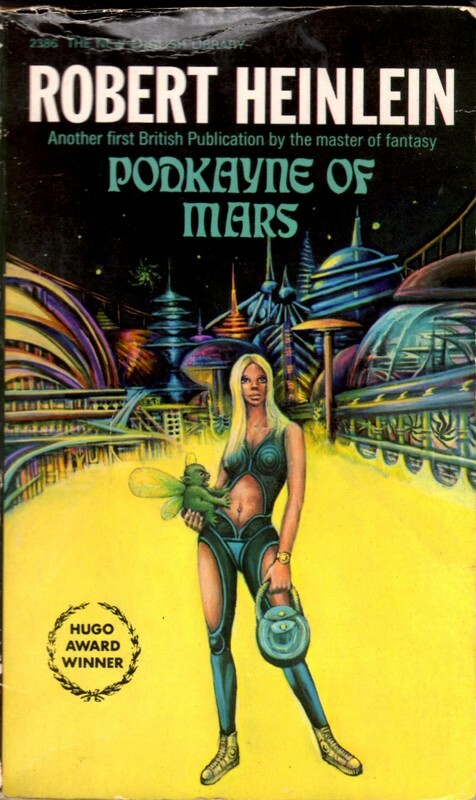 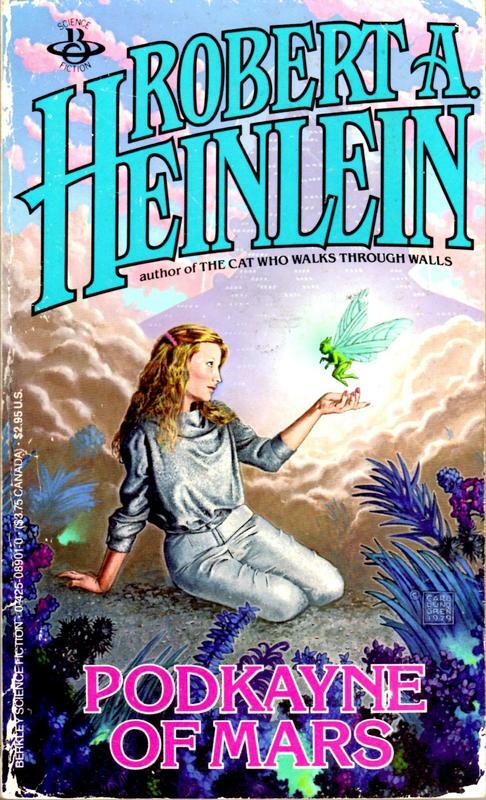 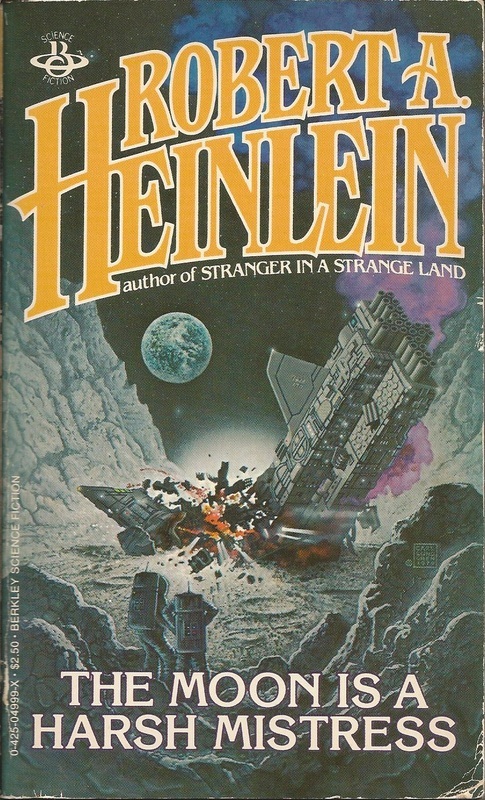 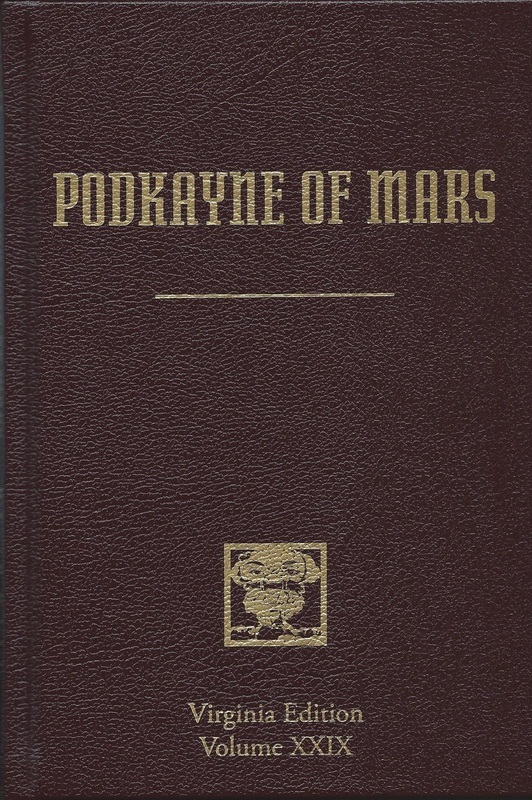 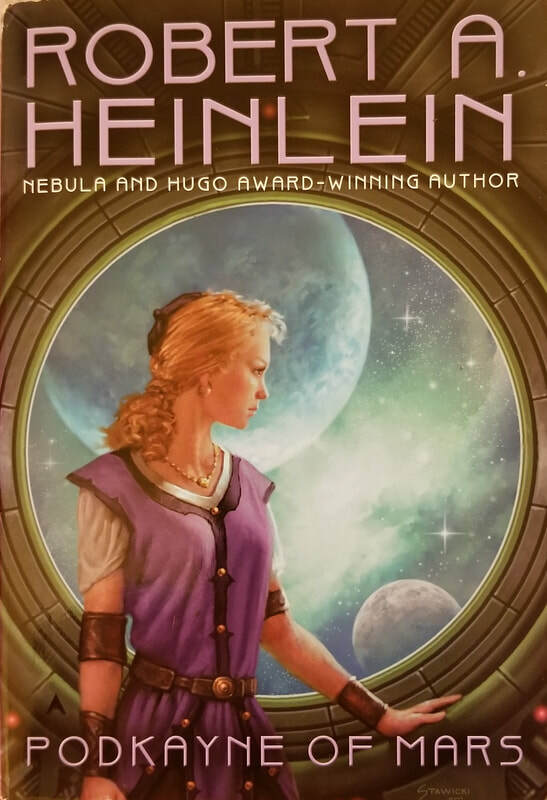 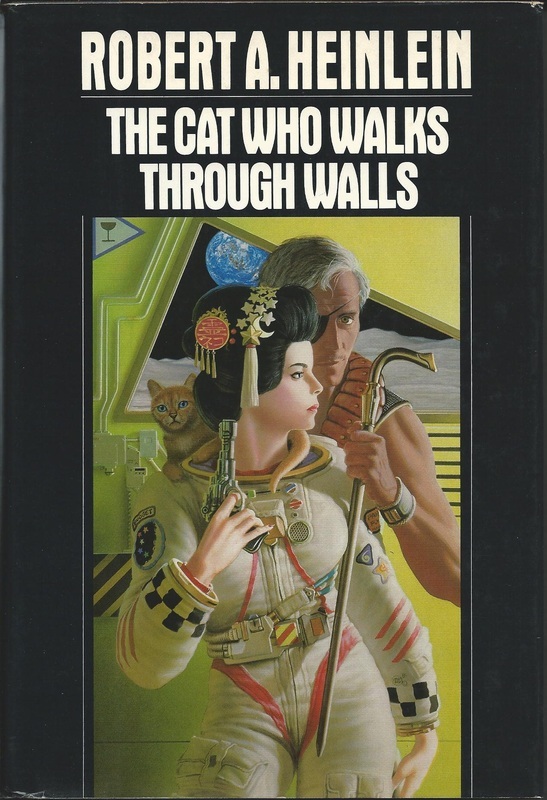 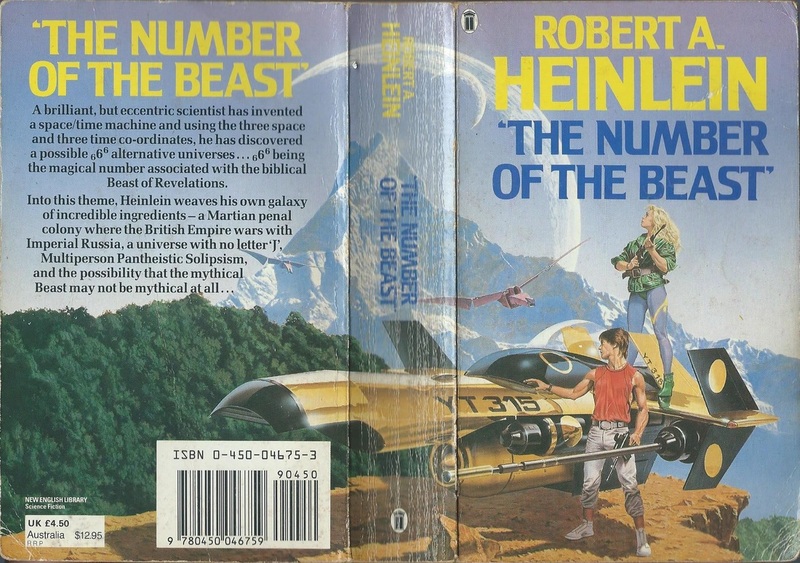 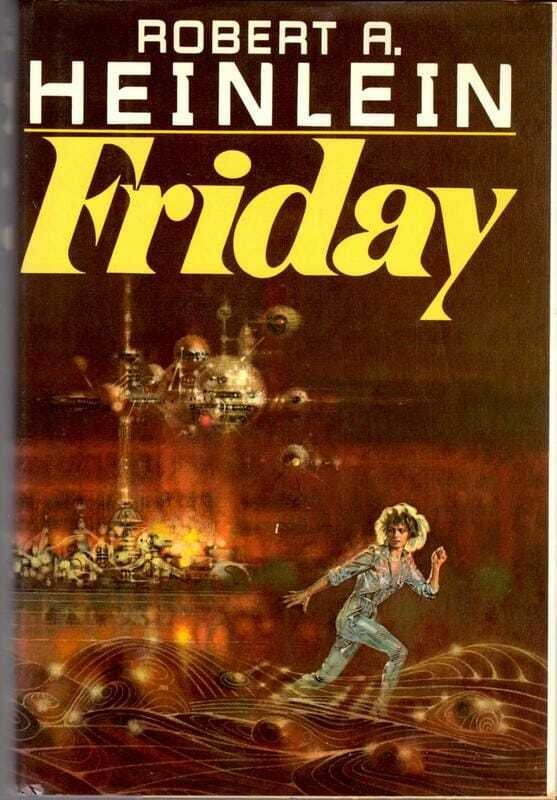 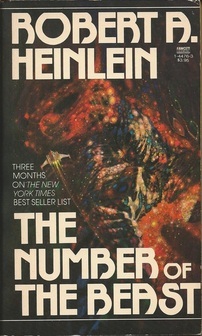 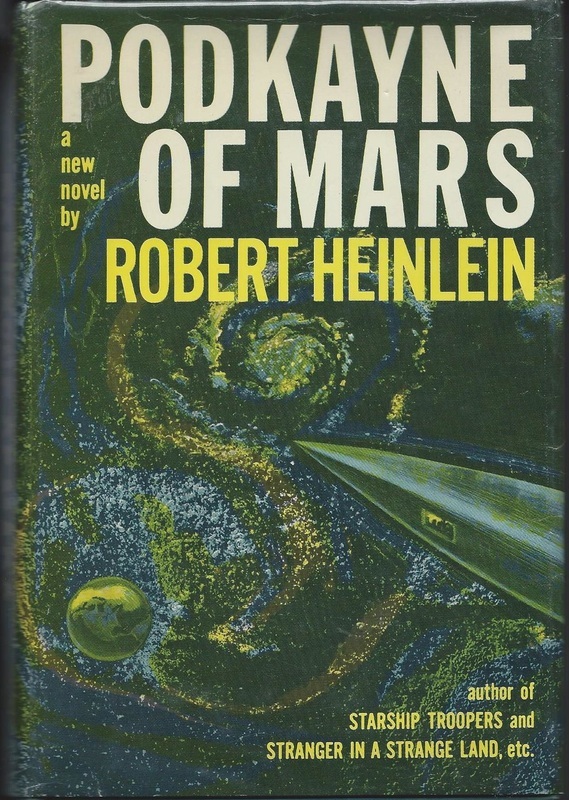 ​Podkayne is a “juvenile”—Heinlein’s last, actually—rather than adult work, but after his post-Starship Troopers split with Scribner’s, it was published by Putnam’s, so the covers appear here rather than on the Scribner’s YA/Juveniles page. 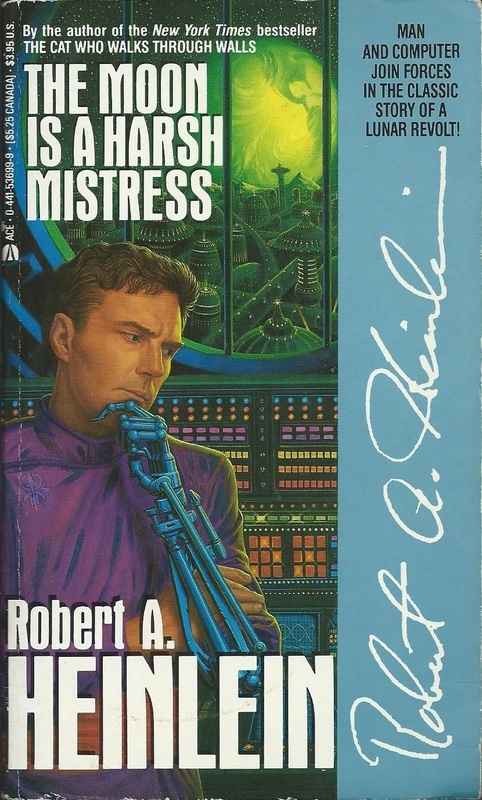 A tad more drab under the jacket, but interesting color. 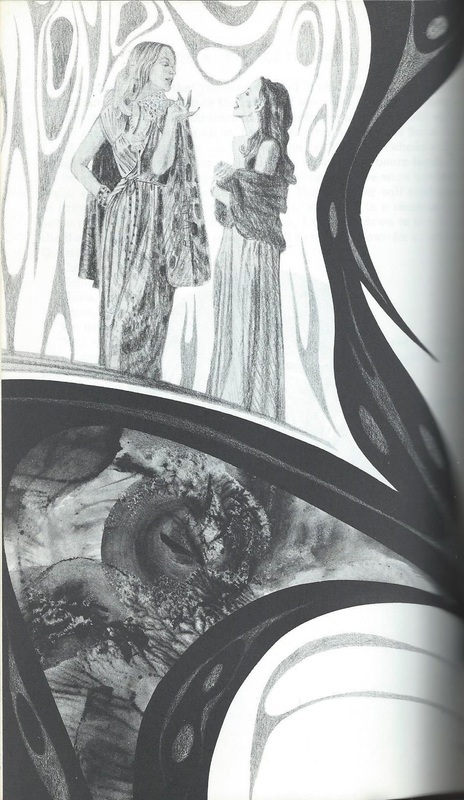 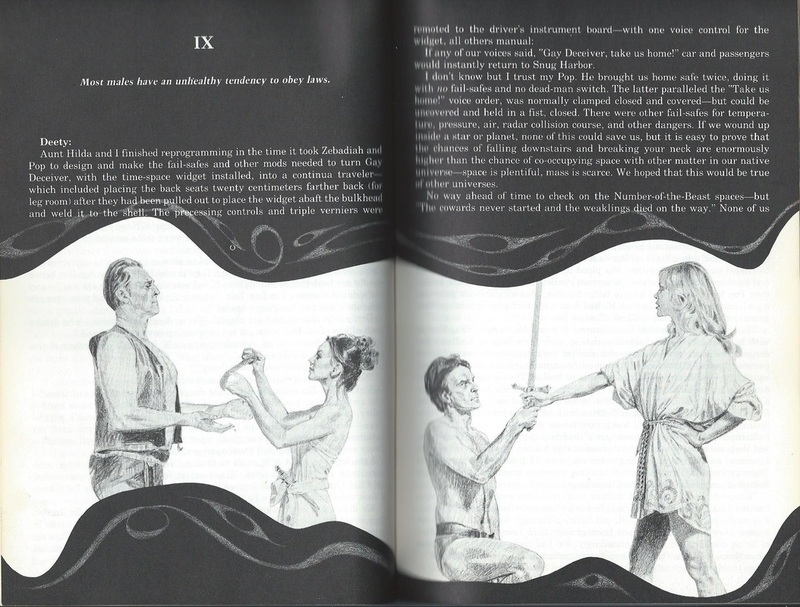 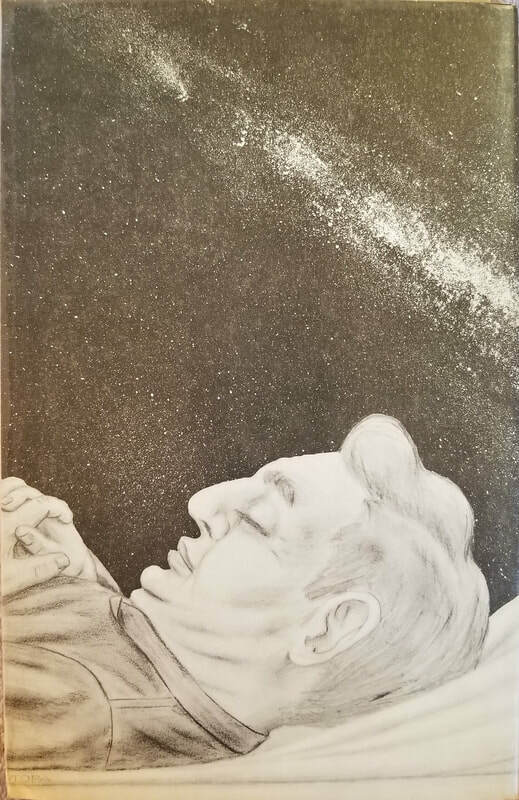 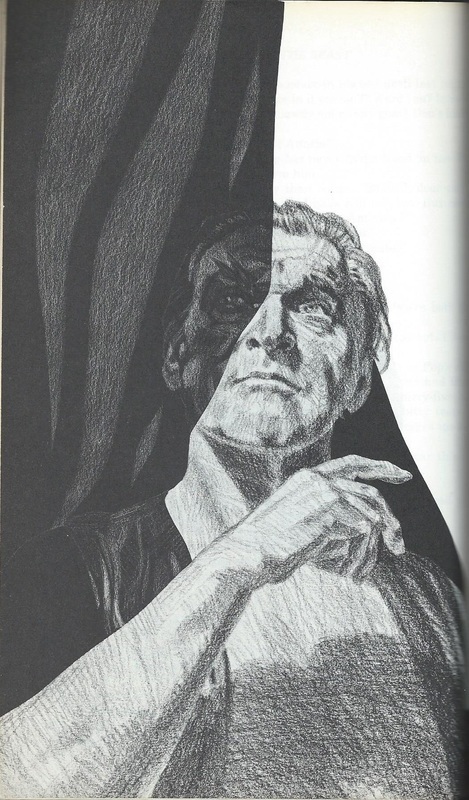 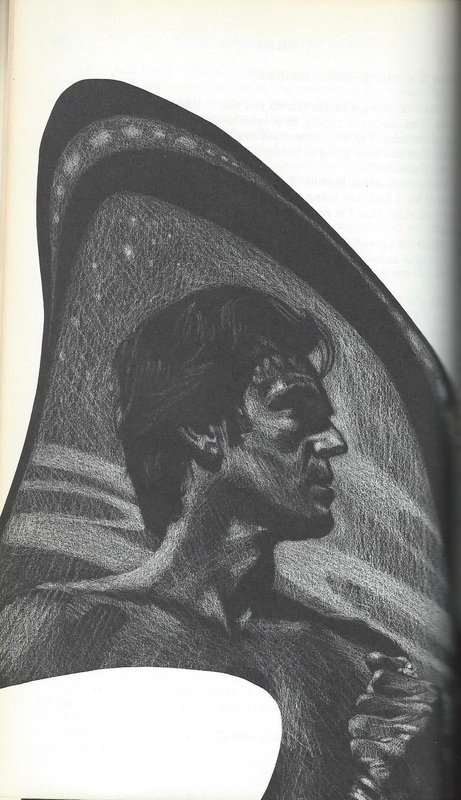 See my “Serialized Novels” page for Podkayne art by Virgil Finlay from The Worlds of If of November 1962. 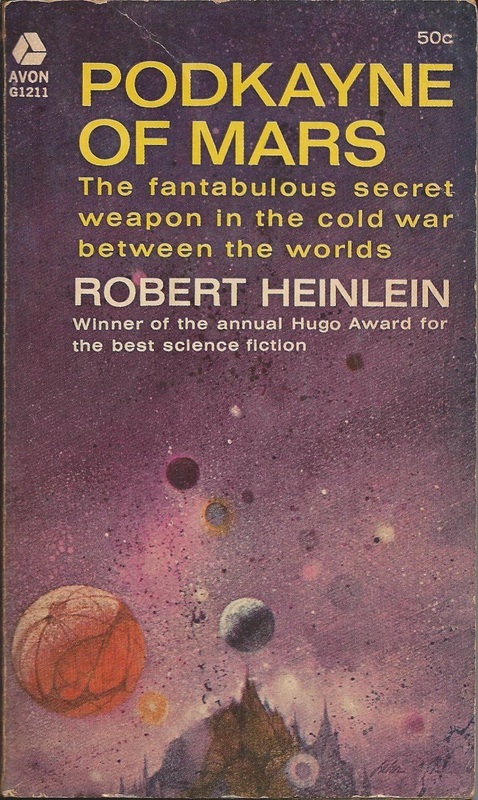 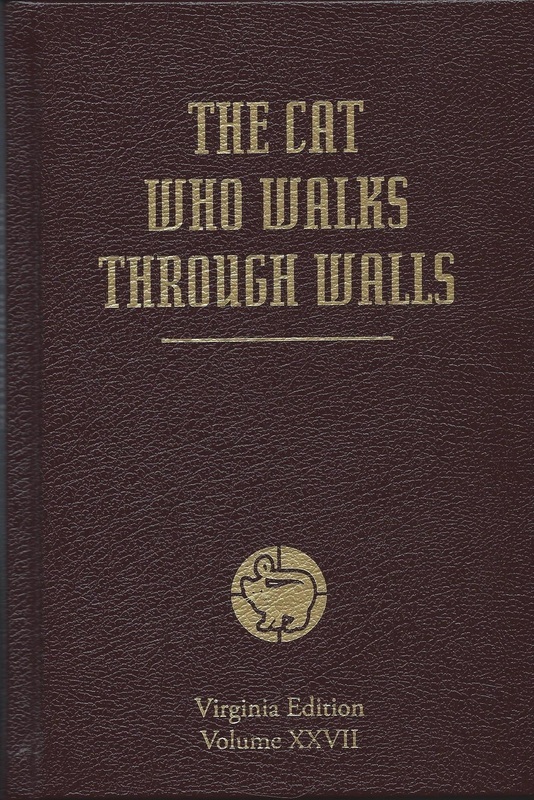 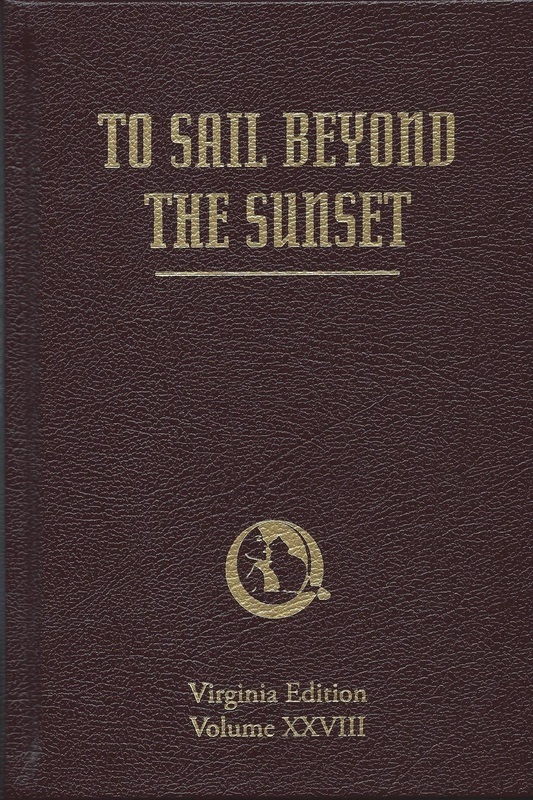 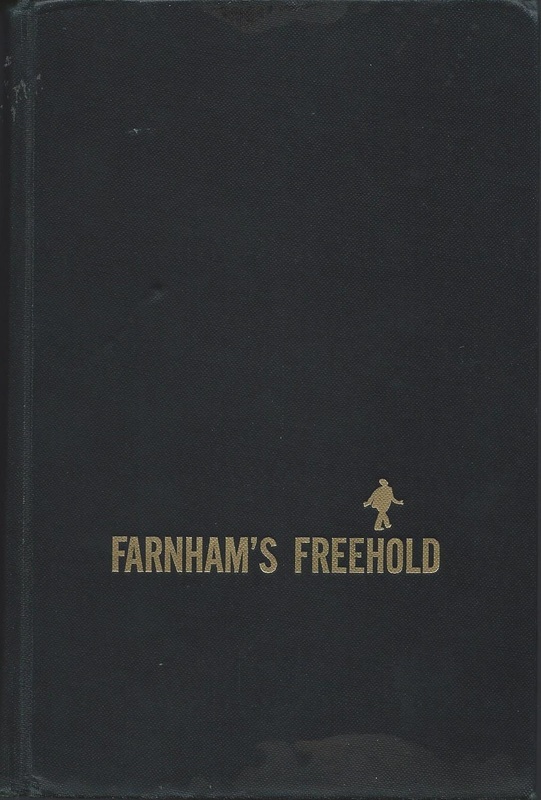 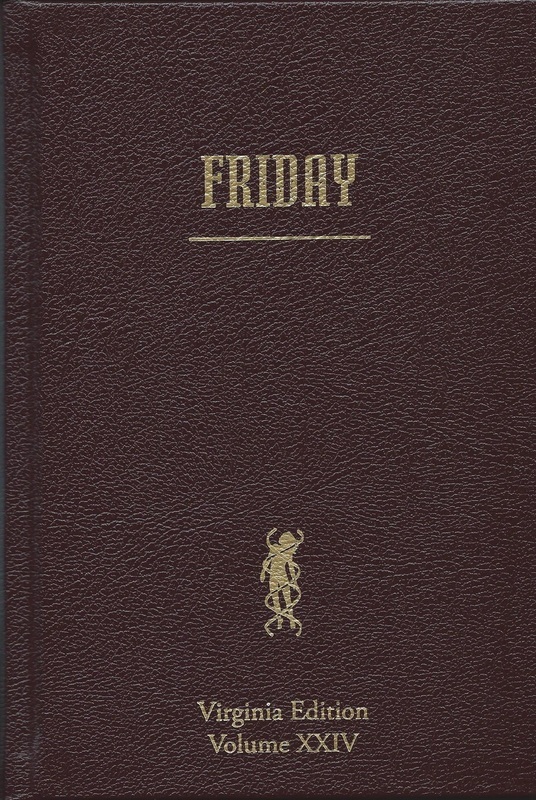 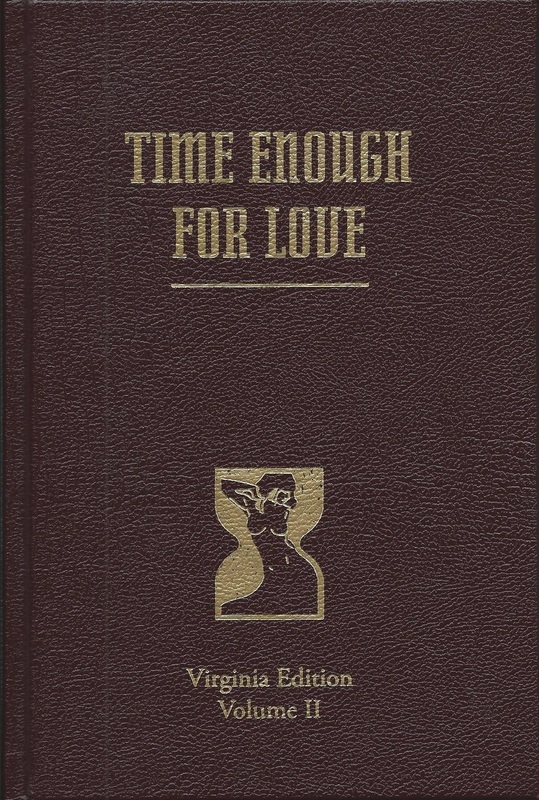 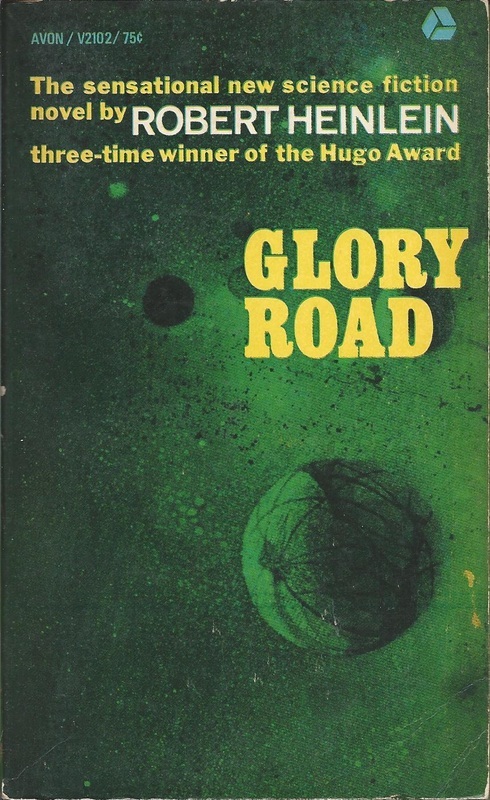 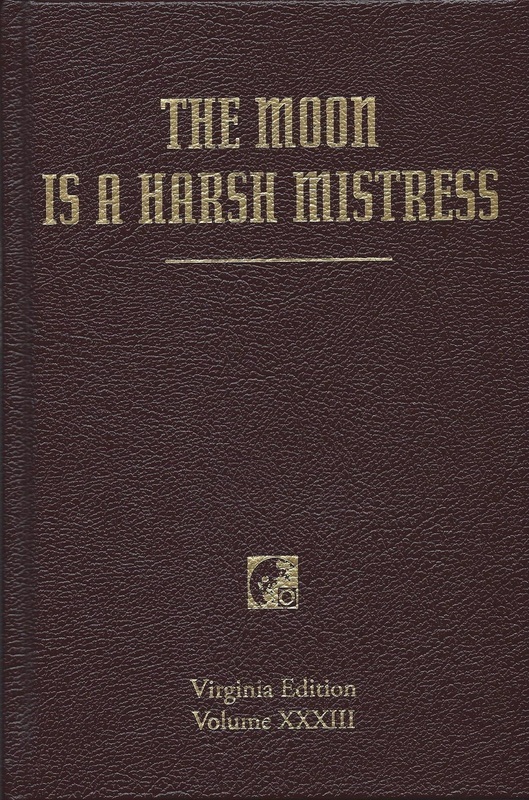 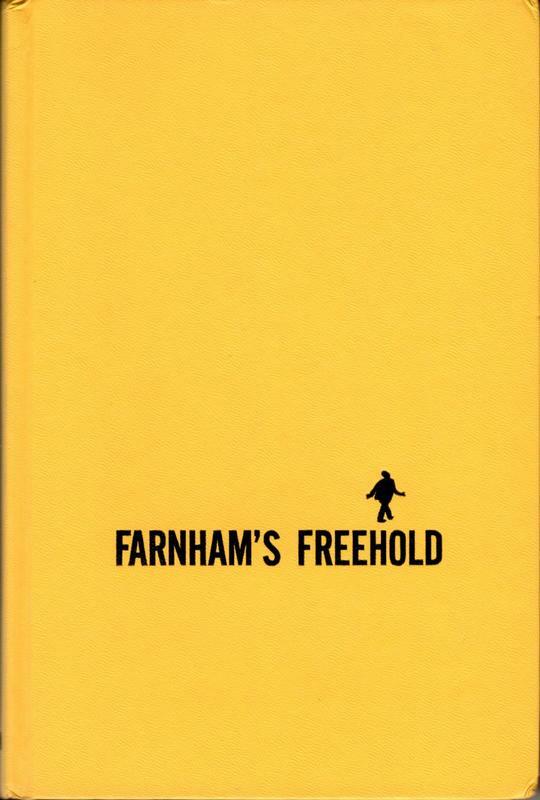 Not the flashiest cover, shall we say, but a nice old library copy from 1964. 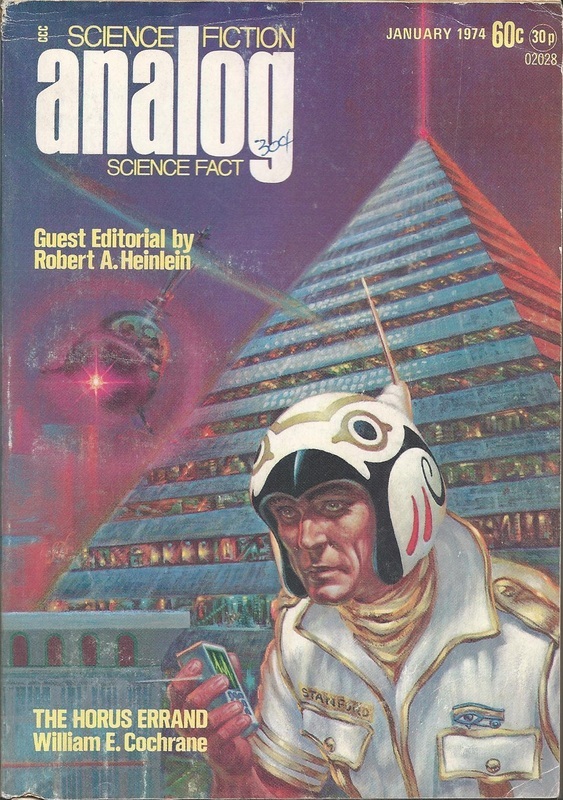 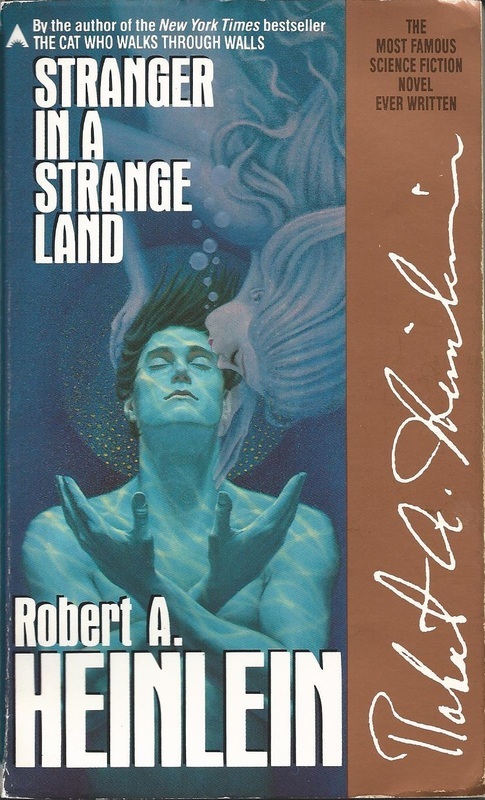 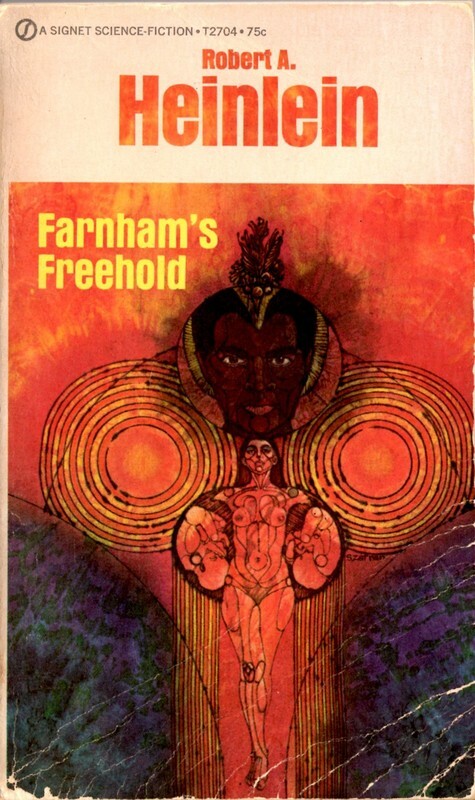 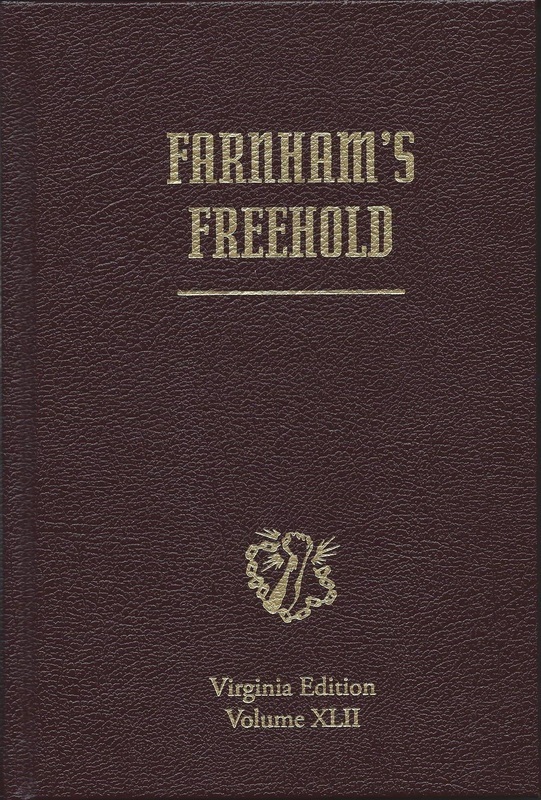 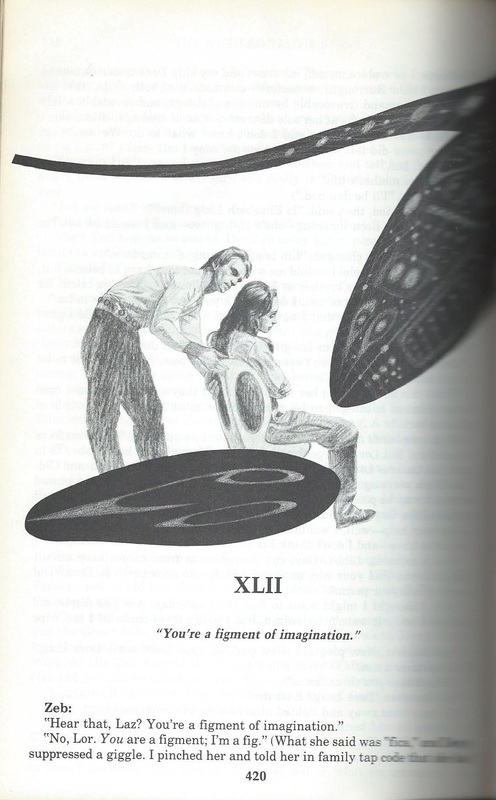 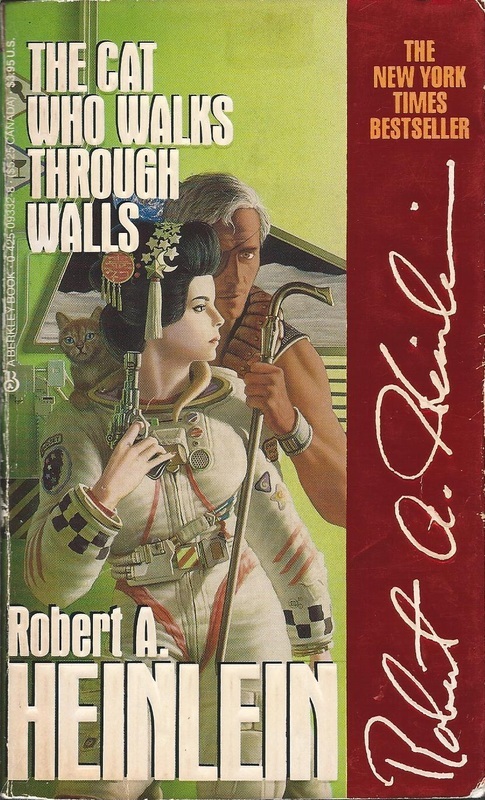 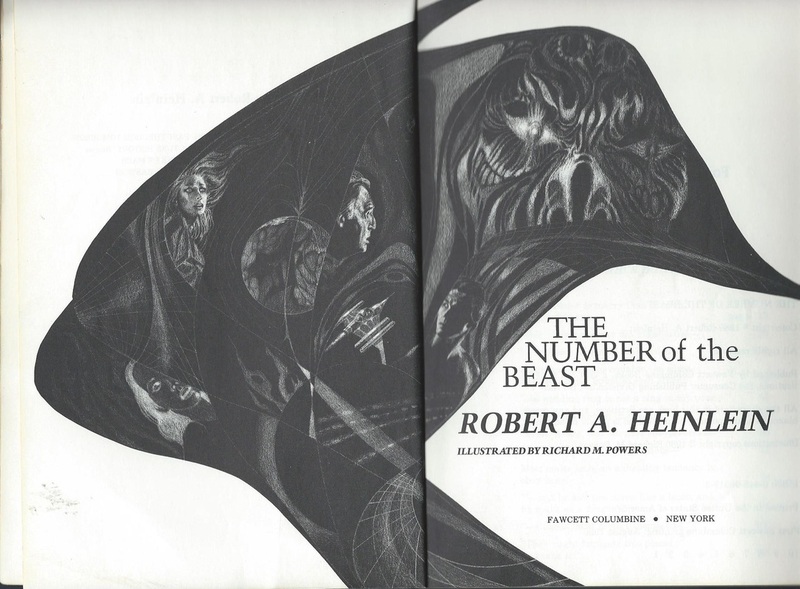 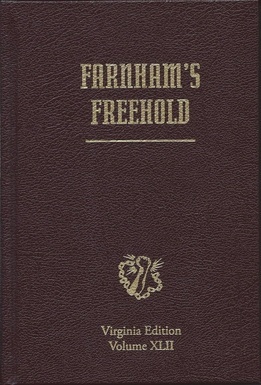 For the version first serialized in F&SF in July, August, and October 1964 with Jack Gaughan interior illustrations, see my “Serializations” page. 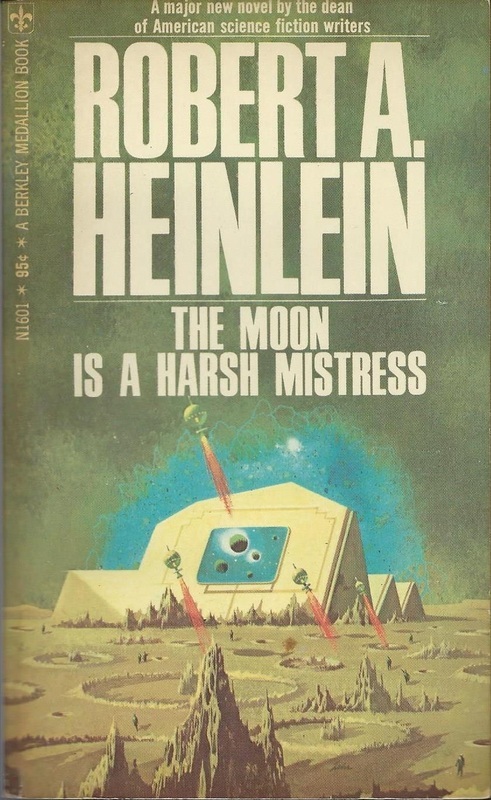 See my “Serializations” page for various covers plus interior art by Gray Morrow on The Moon Is a Harsh Mistress when it was serialized in The Worlds of If from December 1965 through April 1966. 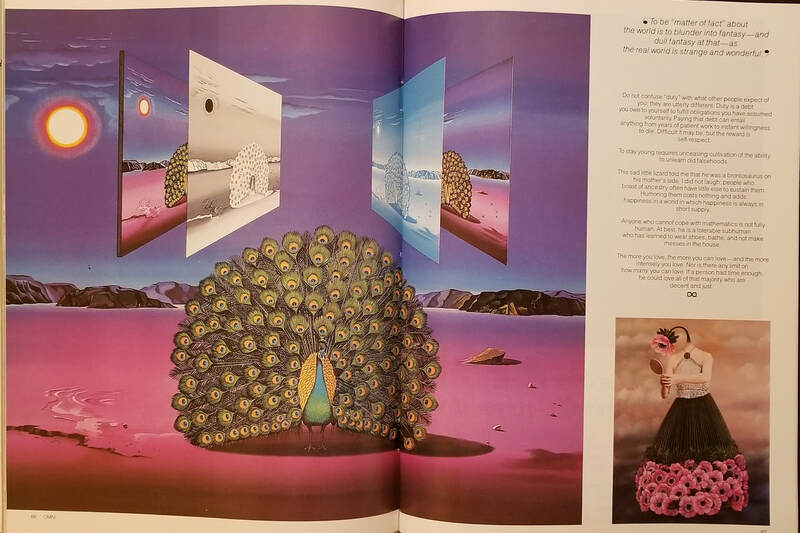 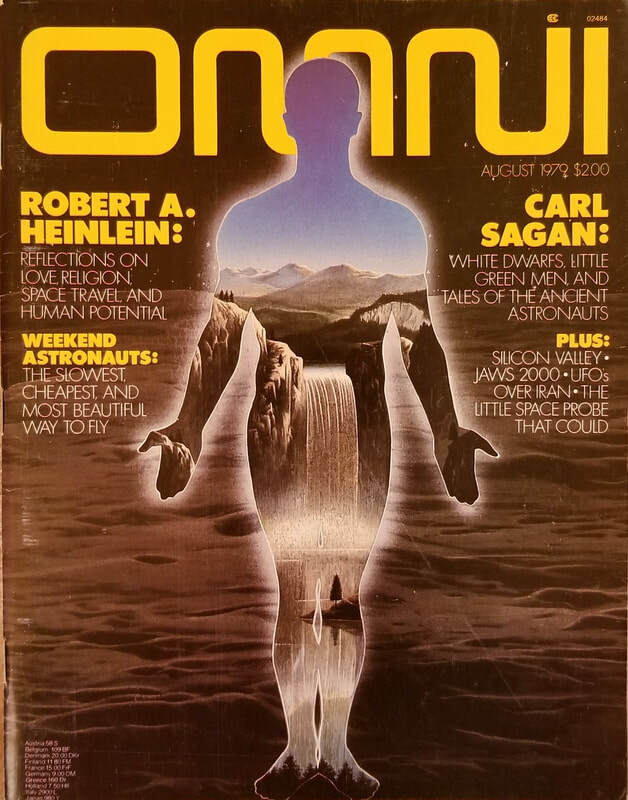 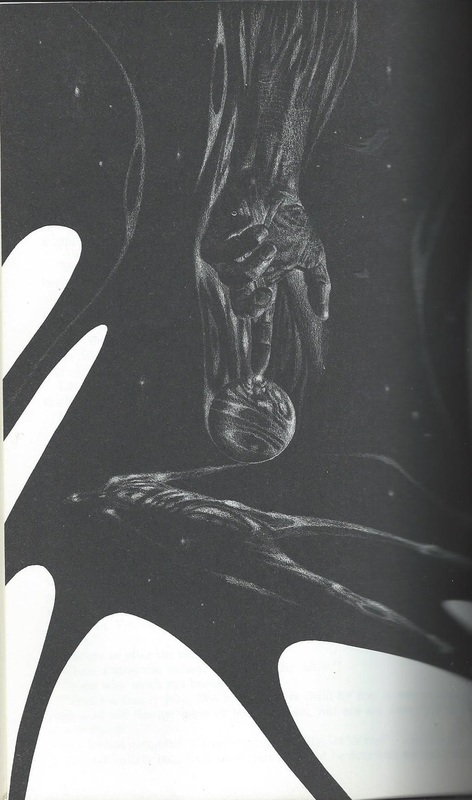 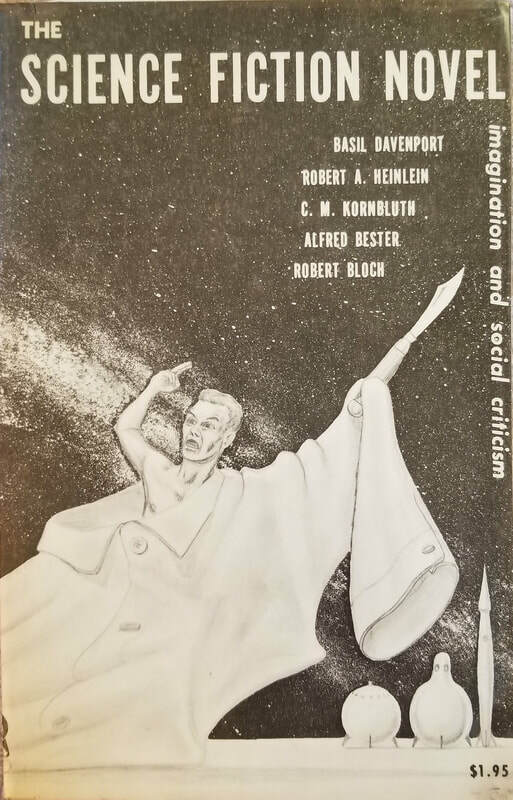 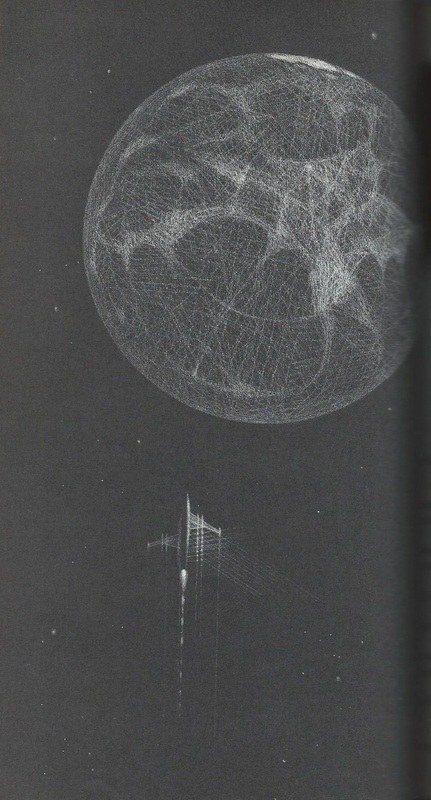 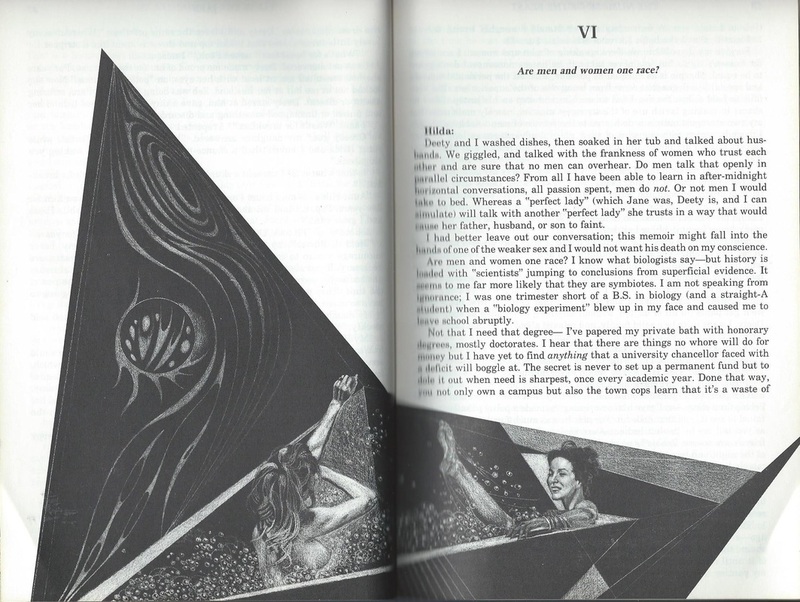 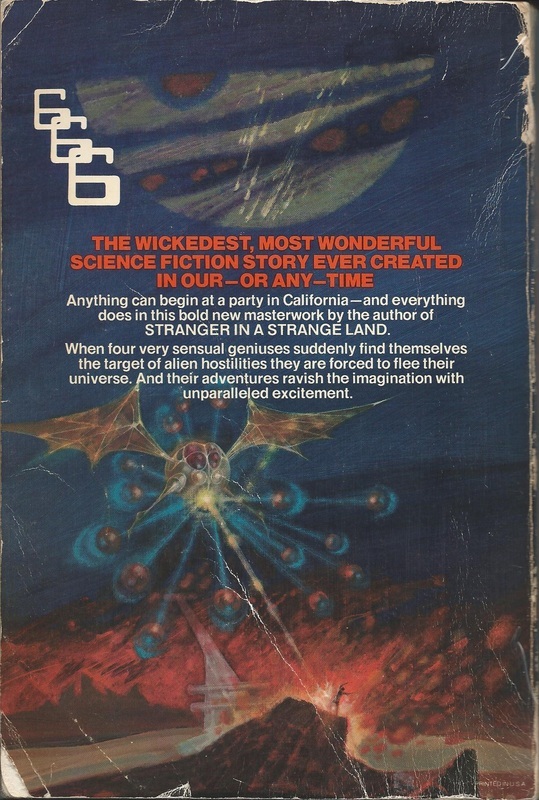 See my “Serializations” page for Jack Gaughan illustrations of I Will Fear No Evil in the June-July, August-September, October-November, and December issues of Galaxy in 1970.
much more charming and subtle than the cover. 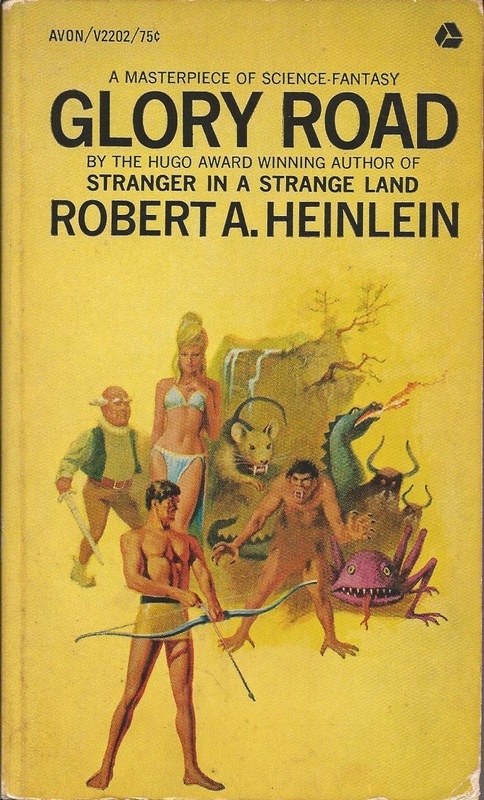 Below is a very small sampling.